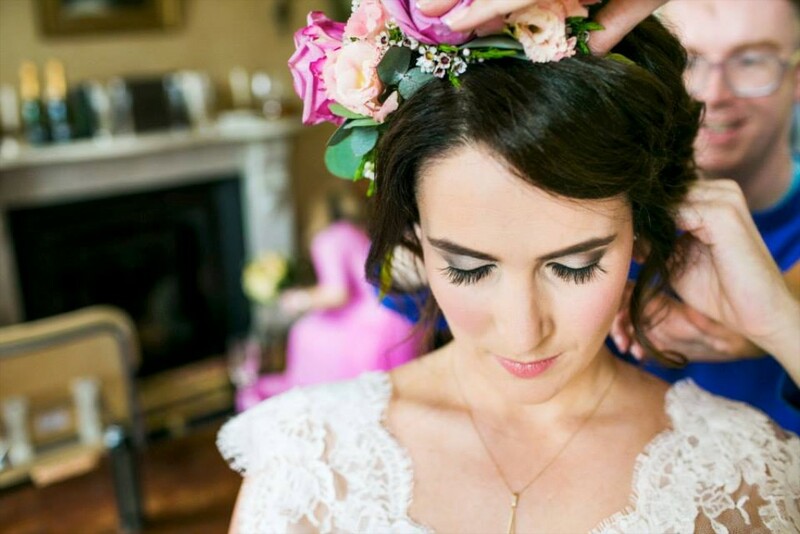 Louise is a talented and passionate makeup artist based in Dublin. 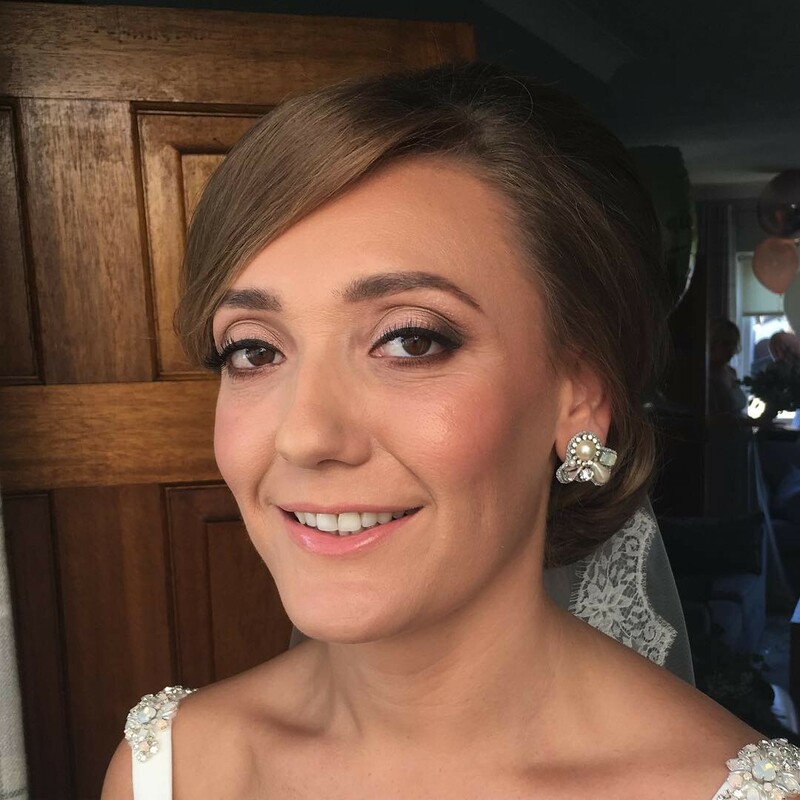 With over 10 years in the bridal makeup industry, she prides herself on making you look and feel amazing on the most important day of your life. Using only the highest quality products, she will ensure your makeup will look flawless all day and night. 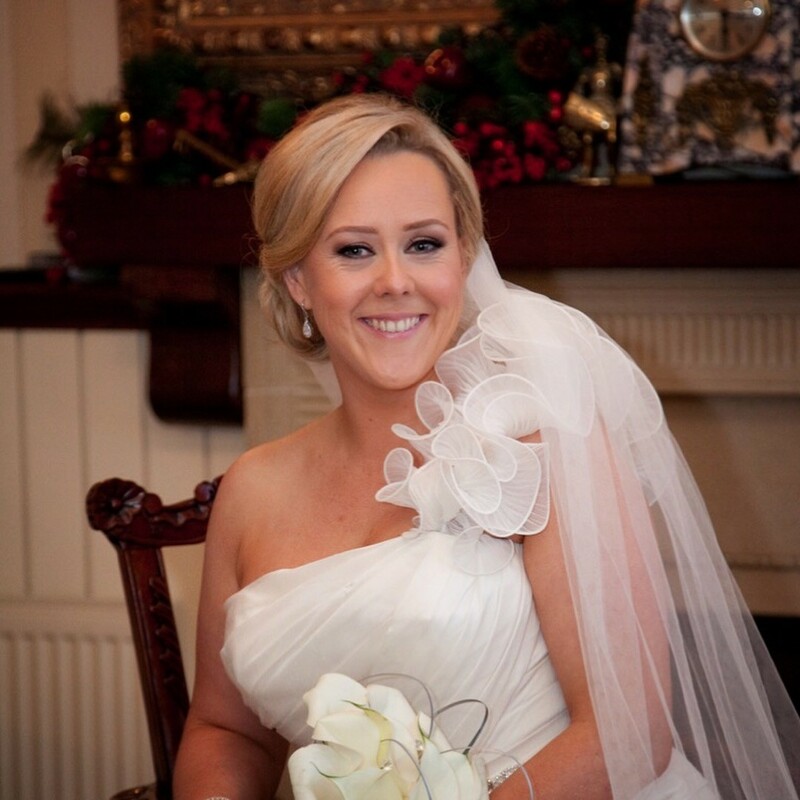 She is renowned for her professional and friendly manner, making you feel calm and at ease on your big day. 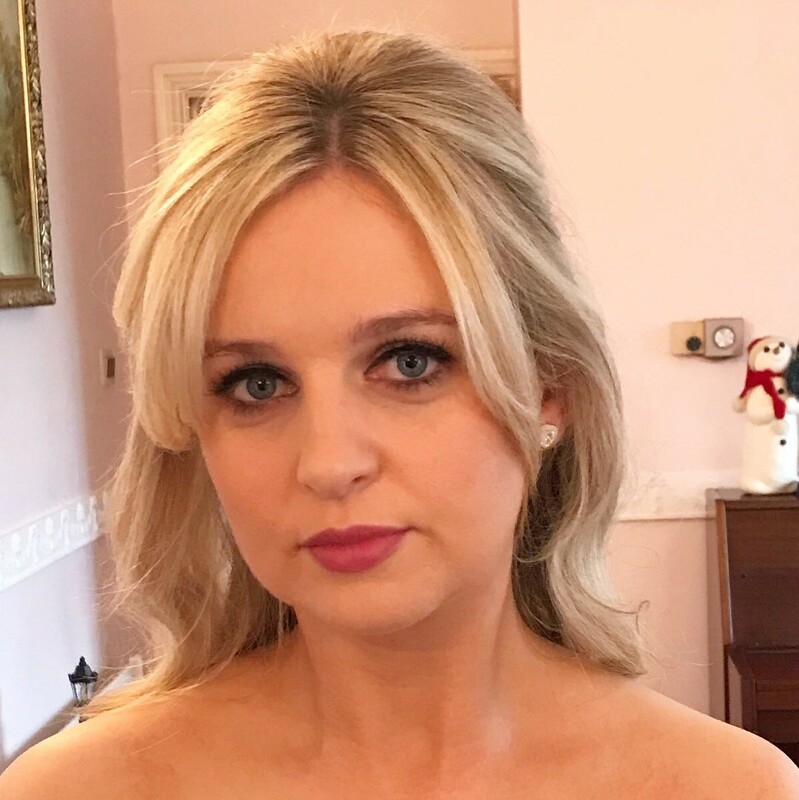 Louise’s work has featured in a number of well known publications and fashion media including Xposé, Irish Tatler, VIP, Her.ie, Limehouse Magazine, Woman's Way and The Sun Newspaper to name but a few. 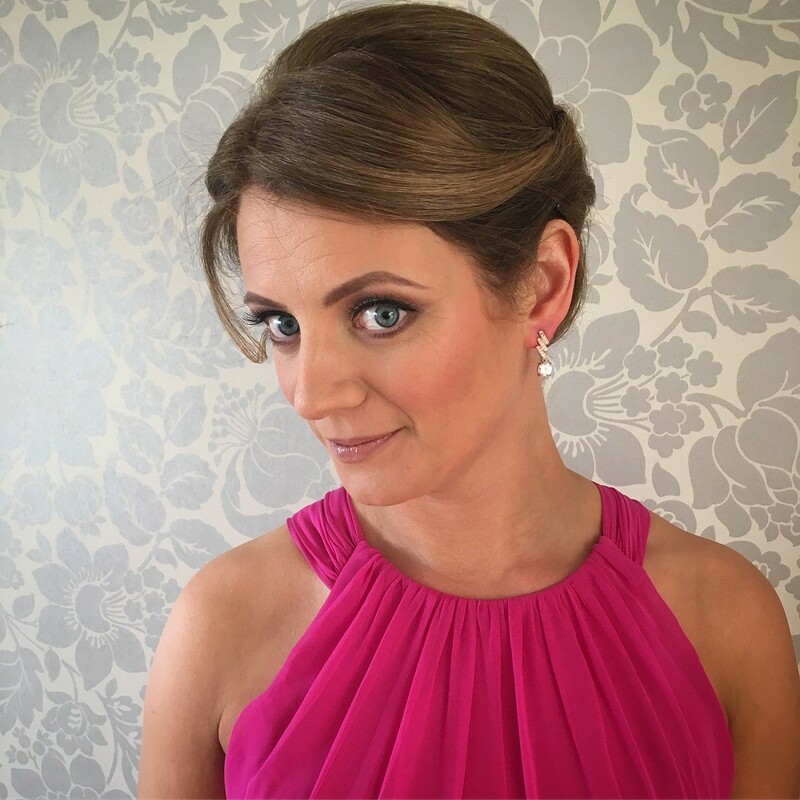 Contact Louise to arrange a makeup trial where she will create the perfect look for you. I booked Louise for my wedding on a recommendation from a friend. Louise was amazing from the word go. 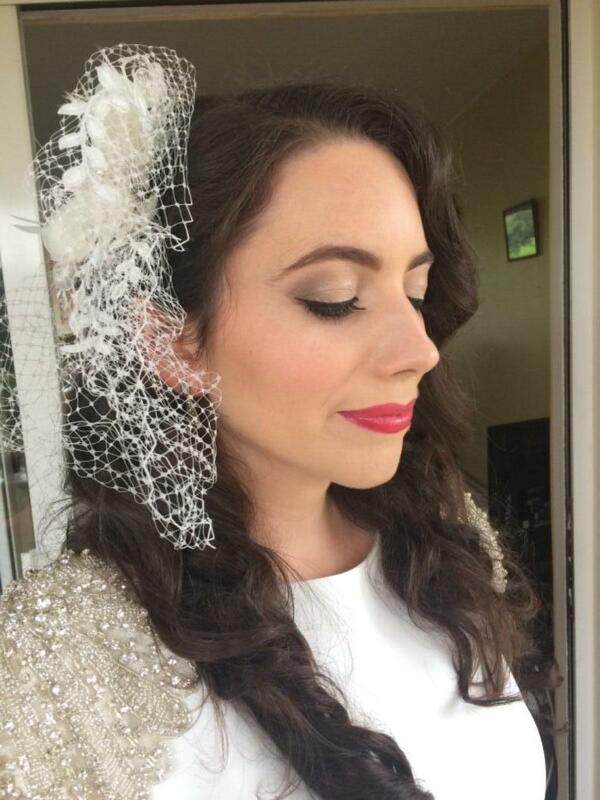 She is a true professional and did an amazing job on our make-up. I knew as soon as I had my trial that I had chosen the correct make-up artist. I gave Louise a very vague idea of what I liked and she immediately got it spot on. 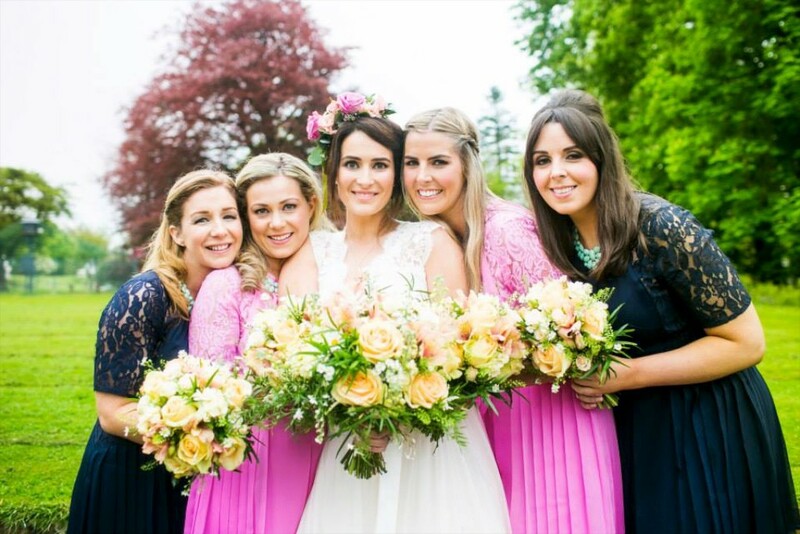 She was amazing to work with and the entire bridal party were delighted with her. I couldn't recommend Louise enough! 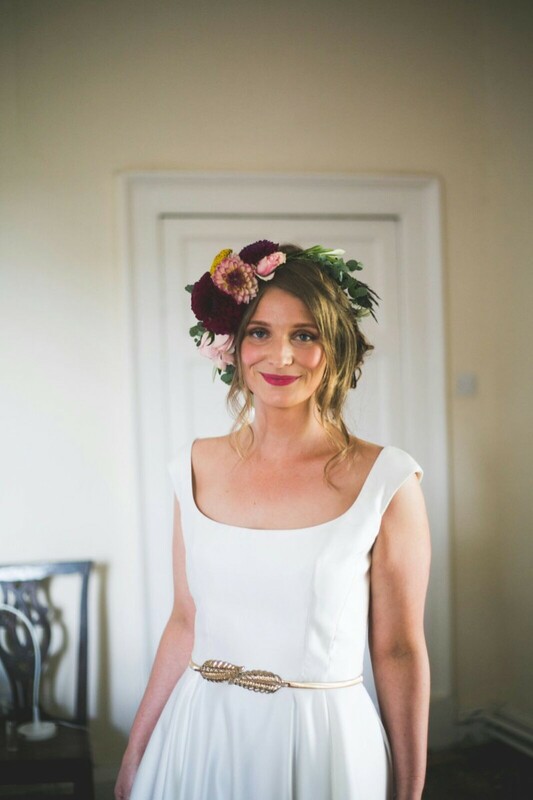 Louise did the make up and my wedding in February and I cannot recommend her enough. I felt she really listened to exactly what I wanted and I couldn't have been happier. She did myself and 6 others on the morning, I was afraid we would be tight for time and feel rushed but we didn't at all. She is very calming and it definitely rubbed off us, she really put us all at ease. All the girls were so happy. I will definitely be back again! Cannot recommend Louise highly enough, not only is she amazing at what she does she is also a lovely person who put everyone at ease while she worked her magic! Louise listened and took everything on board in terms of what I wanted as well as working with some of the products I already use. 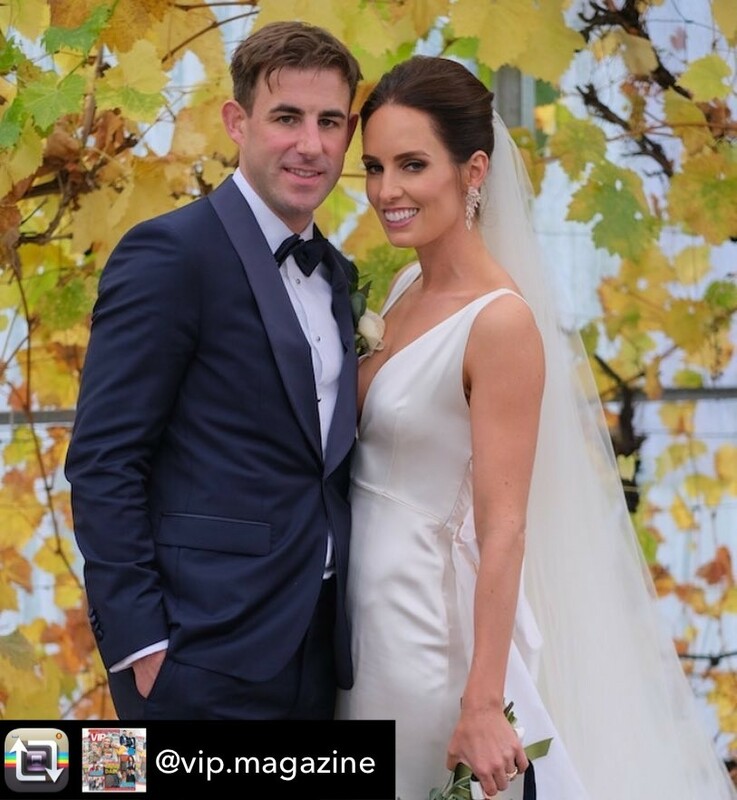 I wanted natural but still bridal and Louise managed that exactly. 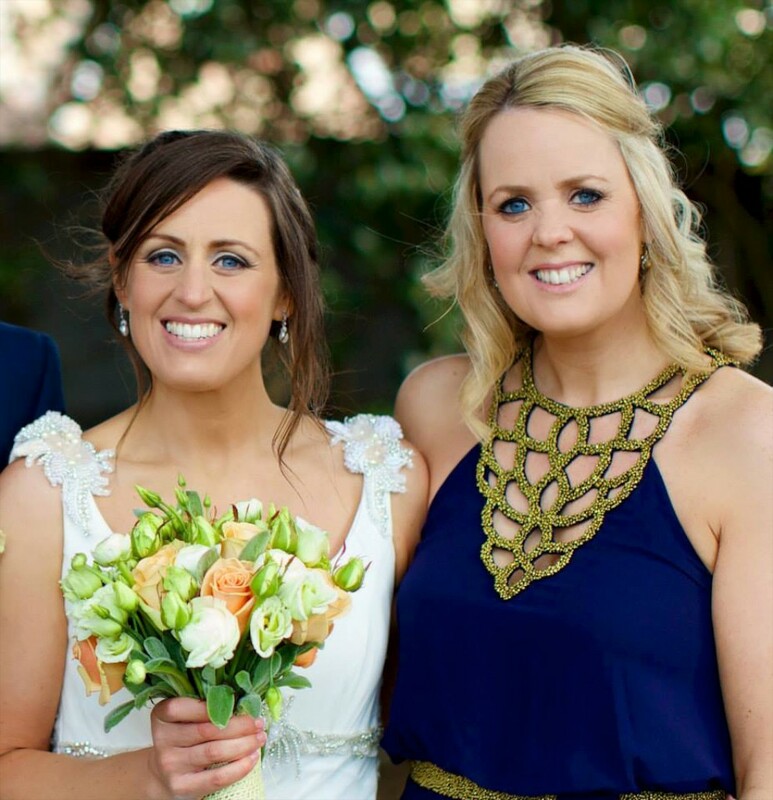 Everyone from my bridesmaids to my mam were delighted with the end result. 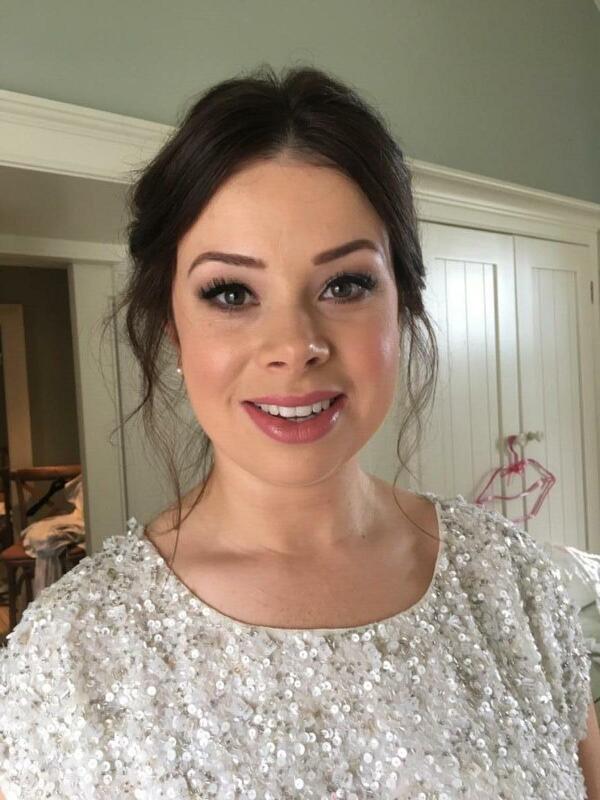 I’ve had my makeup done again following the wedding and will be back again for sure! 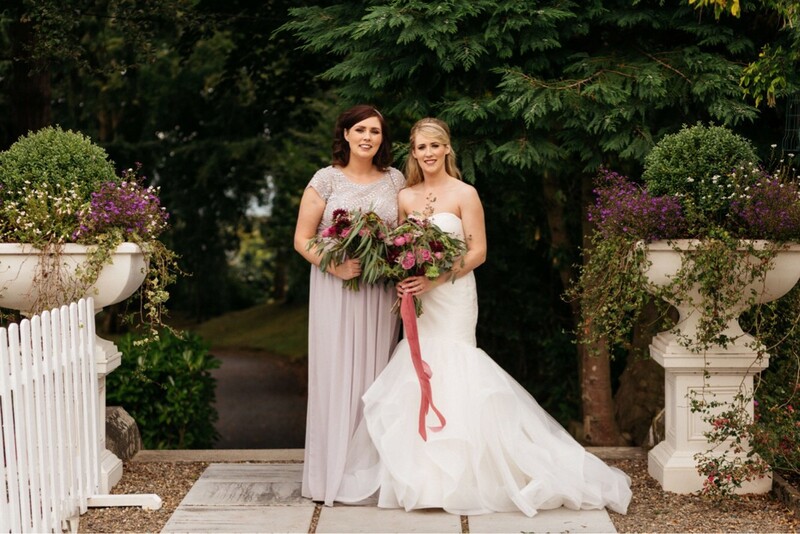 I first came across Louise on Weddingsonline about a year before our wedding. From first contact she was very friendly and professional and came back to me straight away with any questions I had. When I had my make up trial she put me at ease right away and understood what I was looking for. The morning of the wedding was such a special time and Louise's friendly personality slotted right in. 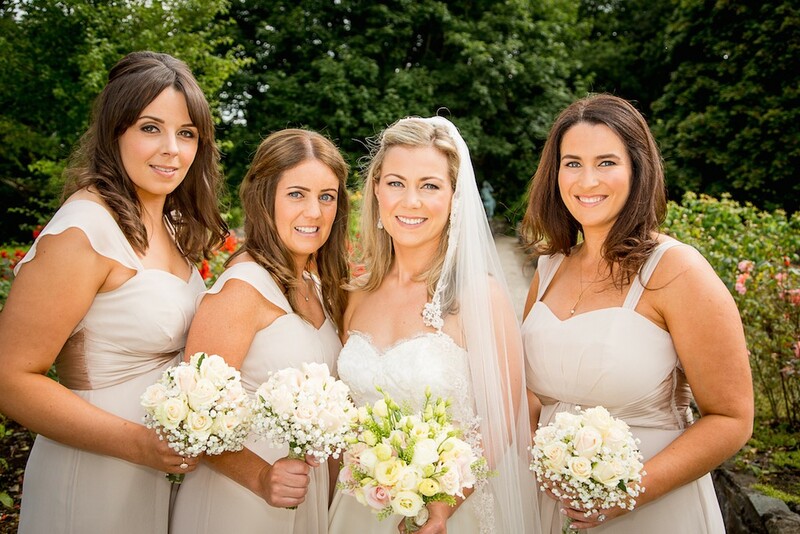 Myself and my 2 bridesmaids were absolutely delighted with our make up and it stayed perfect all day and even into the early hours. Louise is a total pro and I would highly recommend her. Louise was so professional! She took so much time to talk through stuff in the trial and I was so happy. On the day she was so calm and loads of fun. She made everyone including me feel relaxed. The make-up was perfect and it was just like what we talked about in the trial. It suited my personality and my style. 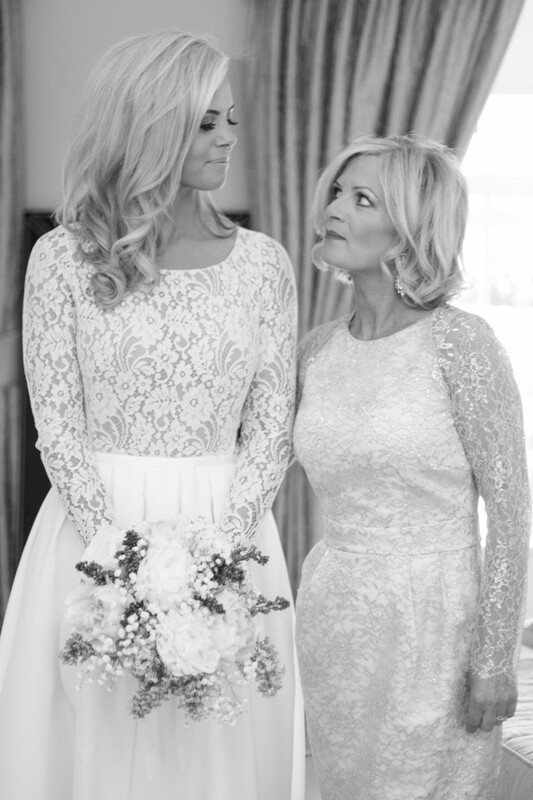 She talked through things with my bridesmaids and mother and made sure they were all happy. They all loved their make-up! I would recommend Louise to anybody! Louise went out of her way to understand the look I wanted...I wasn't even sure myself so her willingness to work with me and do a couple trials was really appreciated. On the day she was calm, collected, on time and stayed for as long as I needed her even doing top ups after the first look. Great value and most importantly I felt that she really cared about my experience! Louise is a brilliant make-up artist and lovely person! 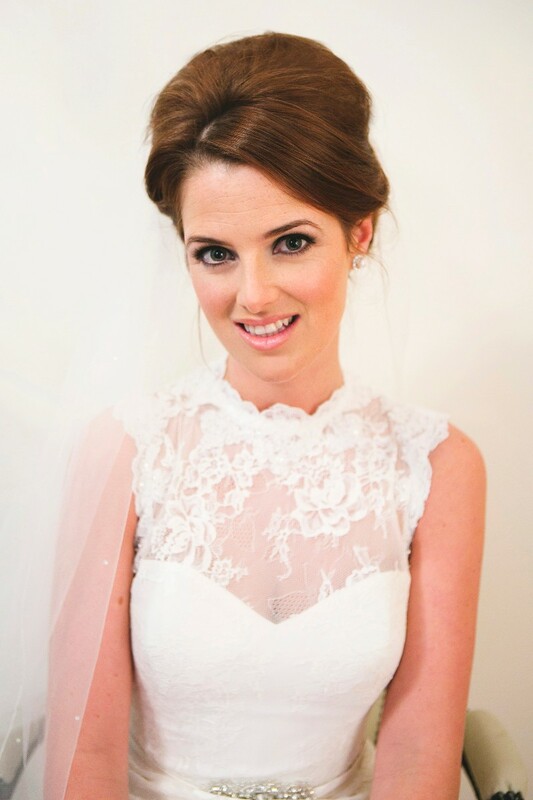 She was so friendly, helpful and professional during the make-up trial and at the wedding. 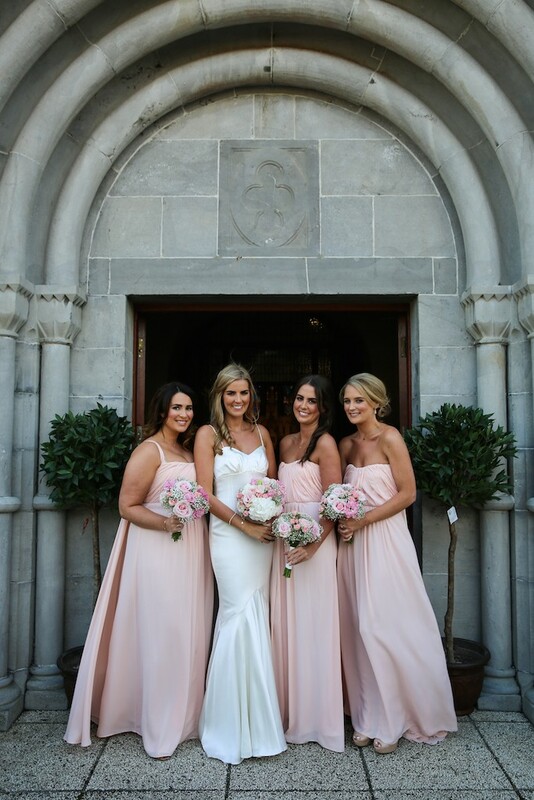 On the morning of the wedding, Louise made me, my mam and bridesmaids really comfortable. She listened to what we wanted and had us all looking our best. Louise has a calm and gentle way about her too which really helped when my nerves kicked in! We were all delighted with the results and I couldn't recommend her highly enough. 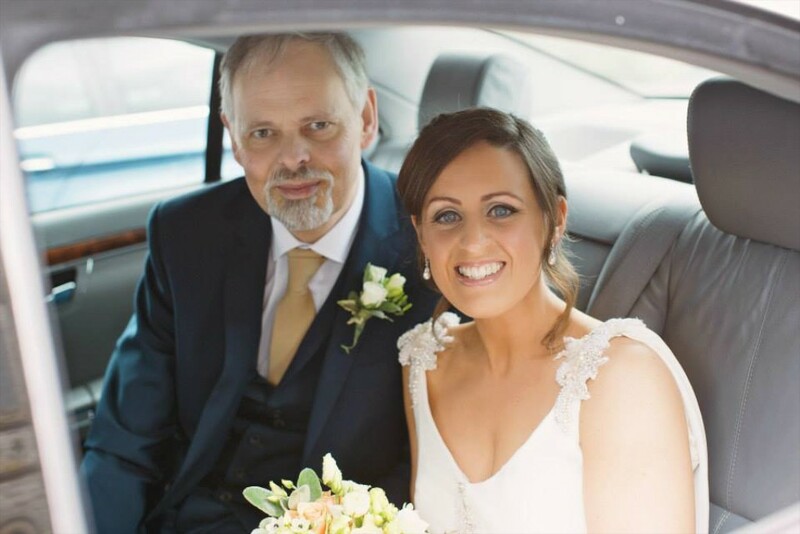 Louise did my make up for a wedding last summer when I was bridesmaid. She is amazing!! She listened to exactly what the bridal party asked for. My make up was flawless throughout the day and I constantly received comments from guests. She’s is a wonder woman with make up and I would HIGHLY reccommend her for weddings whether you are the bride, bridal party or a guest! Louise is brilliant. She is so professional and flexible. 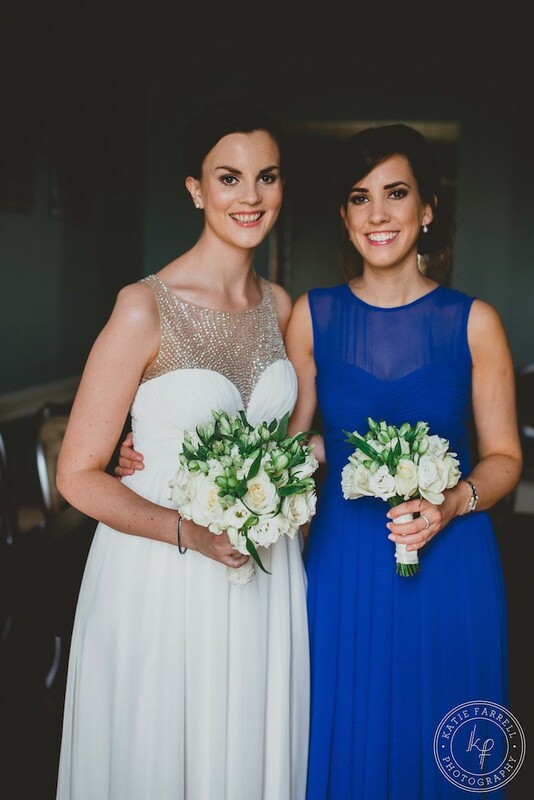 I love how she did my make up and my bridesmaids make up on my wedding day. It lasted the whole day, no need for touch ups. I would highly recommend her to other brides. 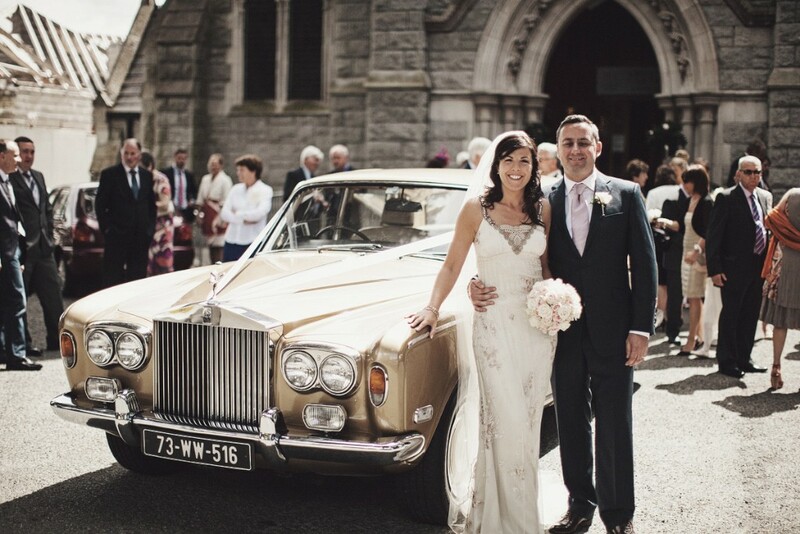 I recently got married in Portmarnock in Ireland. I live in Boston and I found Louise online. I was a bit nervous as I didn't know what to expect being so far away. I had my trial with Louise and I told her what my now husband and I like for make up. She nailed it! I've never had my make up look so good in my whole life. It was natural but stunning. I've had my makeup done by others before which looks caked on and too powdery. Louise made me look exactly how I've dreamed of! 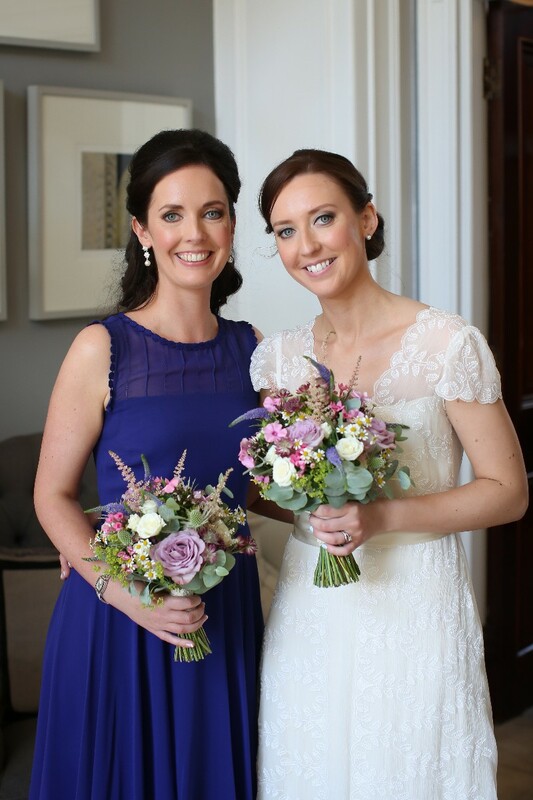 Additionally she accommodated my 7 bridesmaids, and a few relatives who got their make up done as well with Louise and her assistant who also was great! Louise is very professional, responsive and friendly. I could not have found someone better! I highly recommend Louise and promise you will never be disappointed! 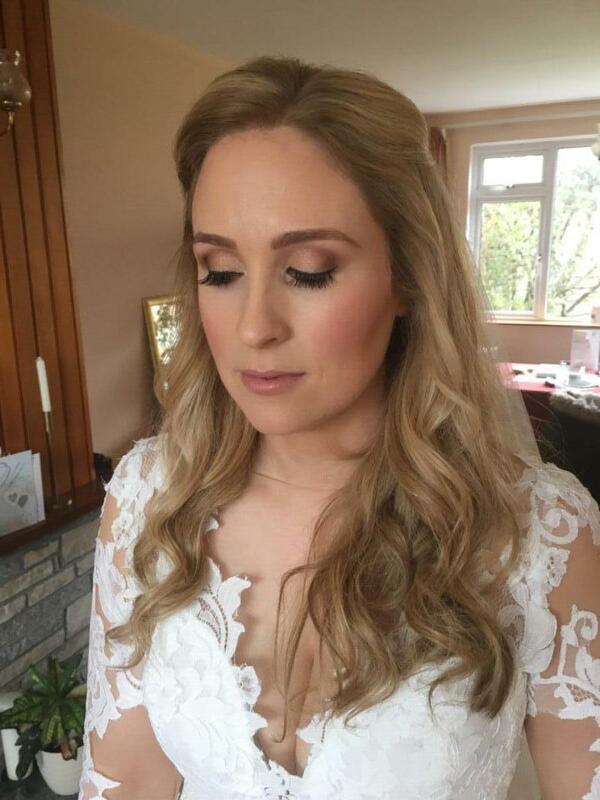 Delighted with make up for the Big Day! Louise was so accommodating and professional. Really good value for money and excellent quality of the products used. I’ve already recommended her to a friend and would be happy to do so again! 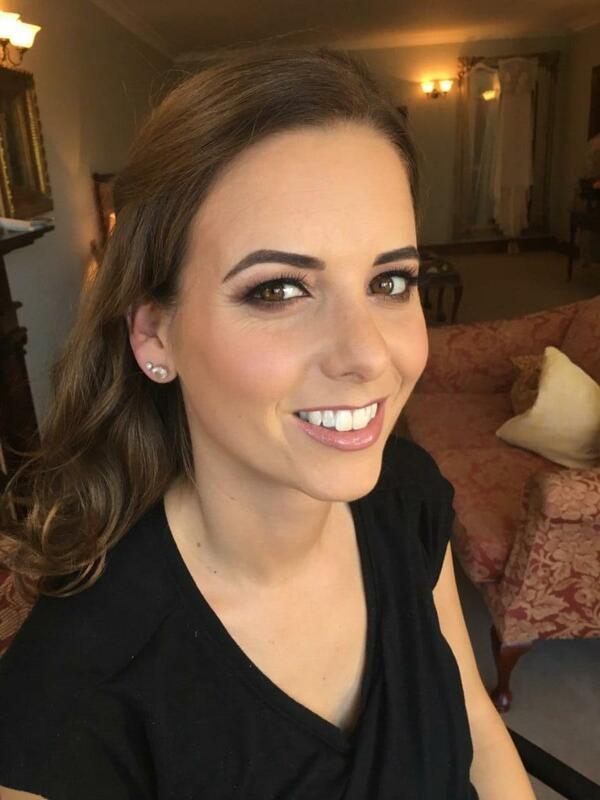 When my makeup artist found out she was pregnant with twins and was unable to do my bridal party for my wedding day, Louise was an absolute life saver - she was really helpful in a stressful situation. 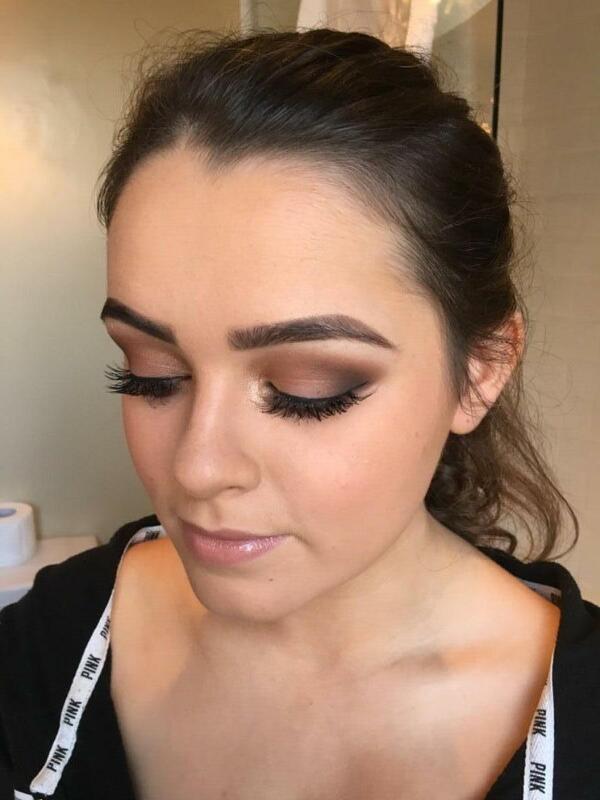 When I saw her work online I instantly wanted her to be a part of my wedding day so I was delighted when she booked me in for a trail straight away. When we met she was so relaxed, passionate about what she does, so professional and listened to all/any ideas we had for our make up. On the day of the trail she was so open to suggestion during and after she did my makeup, it was such a relief not being steered in to a 'look' that I didn't want, which so often happens with hair and make up artists. On the morning of the wedding she was really relaxed, great fun and sharing in the giggles with the girls which made us feel like she was part of the bridal party, it was so nice! 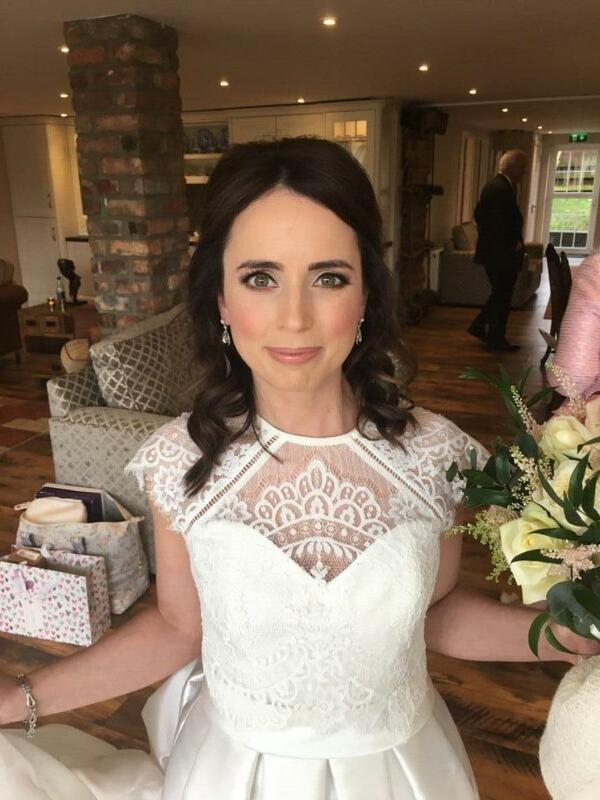 Louise was a dream to deal with and I would recommend her talent to anyone who wants to feel and look like themselves but 1000 times more fabulous, be it on their wedding day or not! ? Louise was absolutely fantastic to work with, she really listened to what I had in mind, and perfected it immediately at my trial! 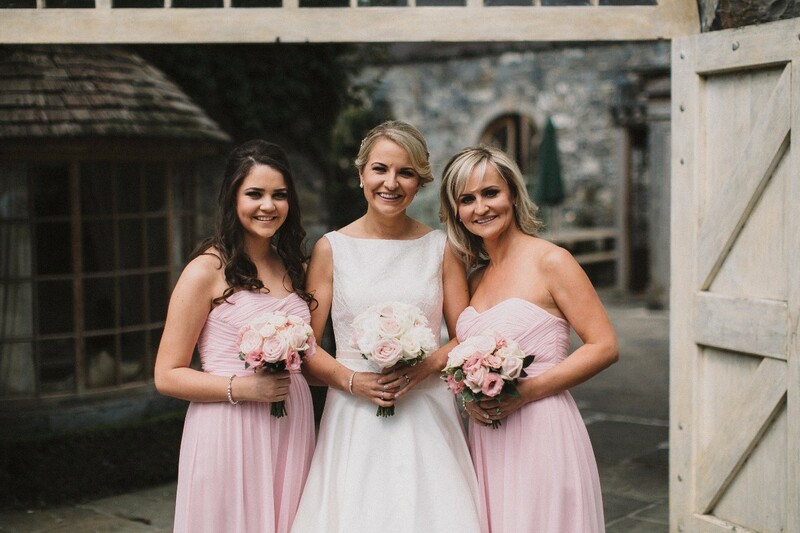 My Mum, bridesmaids and I were over the moon with our make up on the day, and it stayed put right through the night. Louise was friendly and bubbly on the morning and made us all feel relaxed! Would 100% recommend! 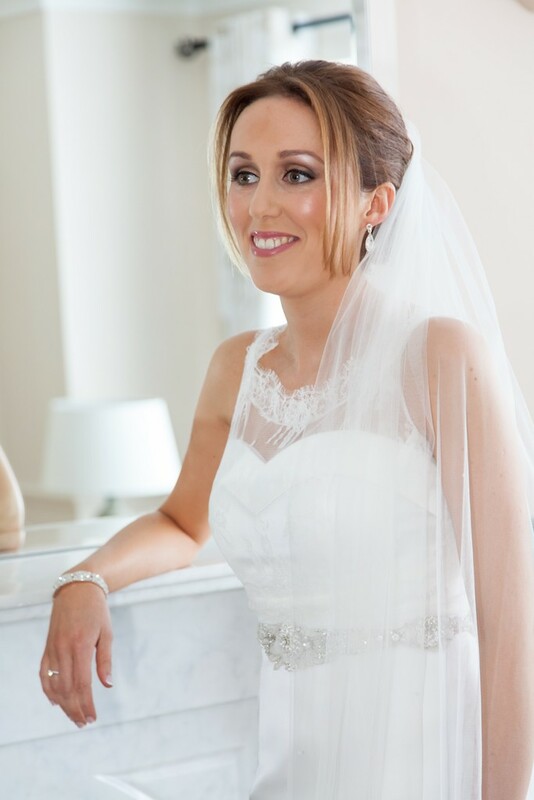 Louise has done my makeup on several occasions, so I didn't hesitate or want anyone else to do it on my wedding day. I changed my mind on what style I wanted several times, but at my trial she got it spot on. I wish I could win the Lotto so that Louise could do my makeup every day! 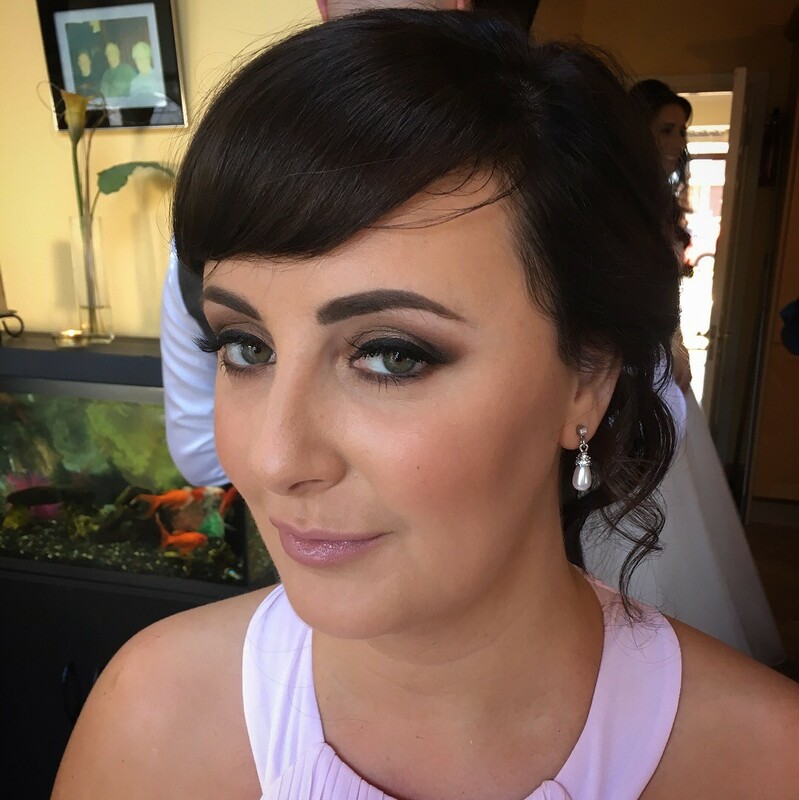 Louise also did my bridal party's makeup - one of my sister's has never had professional makeup done before so she was a little apprehensive. Louise not only made her feel comfortable, but also the results were amazing and my sister was absolutely thrilled - to the point she didnt want to ever have to take it off. 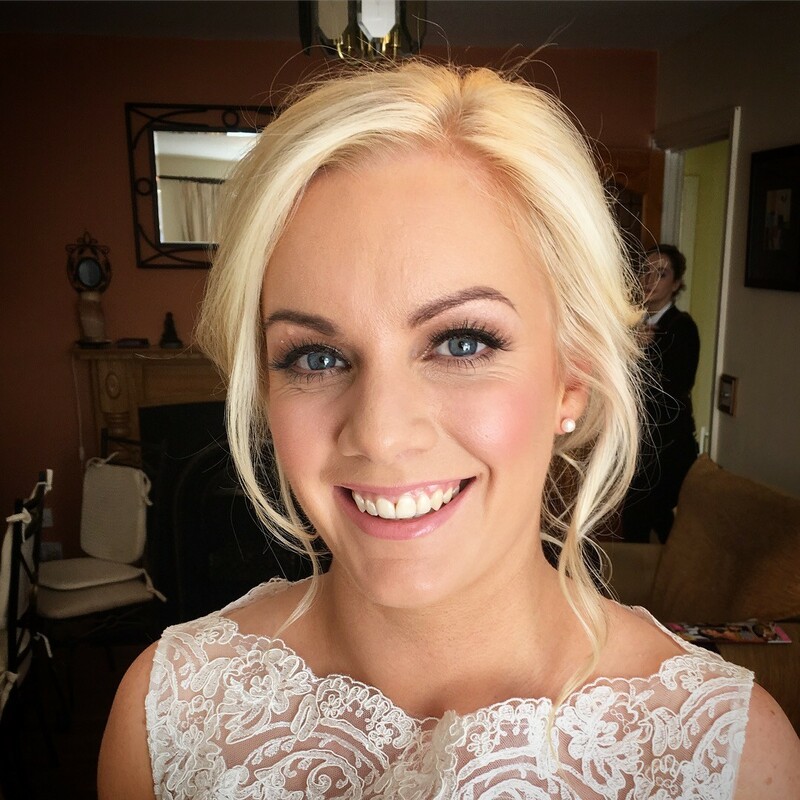 I would not hesitate to recommend Louise for occasion makeup. 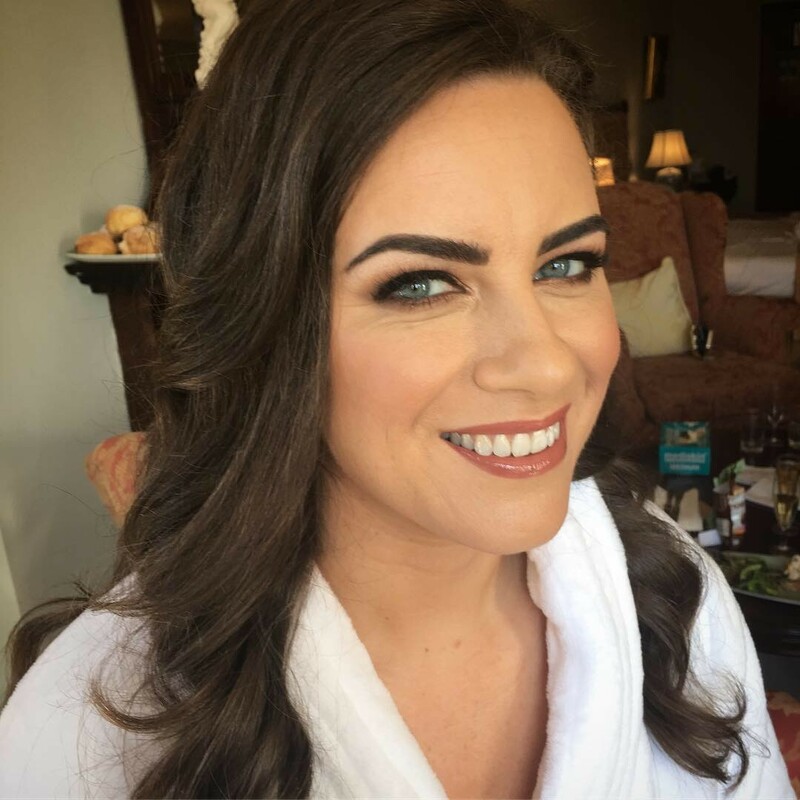 I chose Louise as my make-up artist for my wedding based on the reviews I had read about her and can honestly say that she lived up to all the glowing reviews I read. She was wonderfully easy to work with and always responded quickly to my emails. She put me right at ease when I had my make-up trial as in the past I have often found other make-up artists to be intimidating. However Louise took the time to ask about what look I wanted and I felt that I could be honest about what I liked and didn't like. 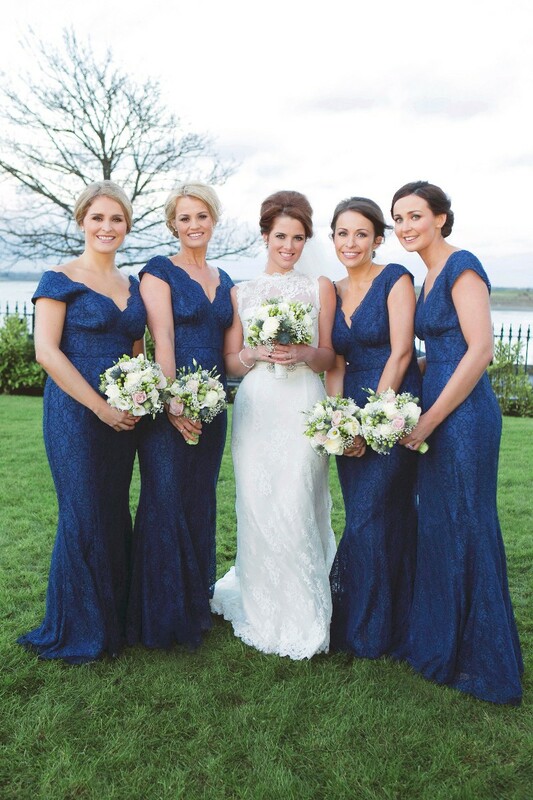 On my wedding day she worked very efficiently on myself and three bridesmaids. 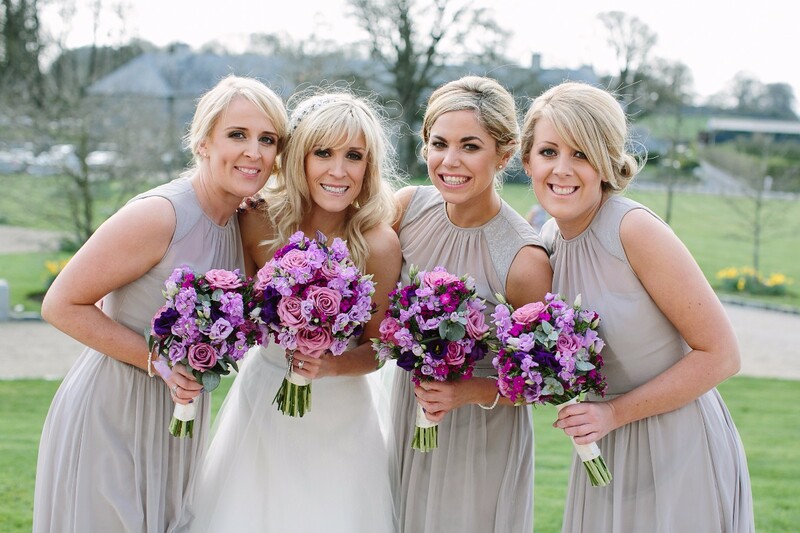 My bridesmaids were all so delighted with their make-up and one of them was so impressed that she has booked her for her wedding too. 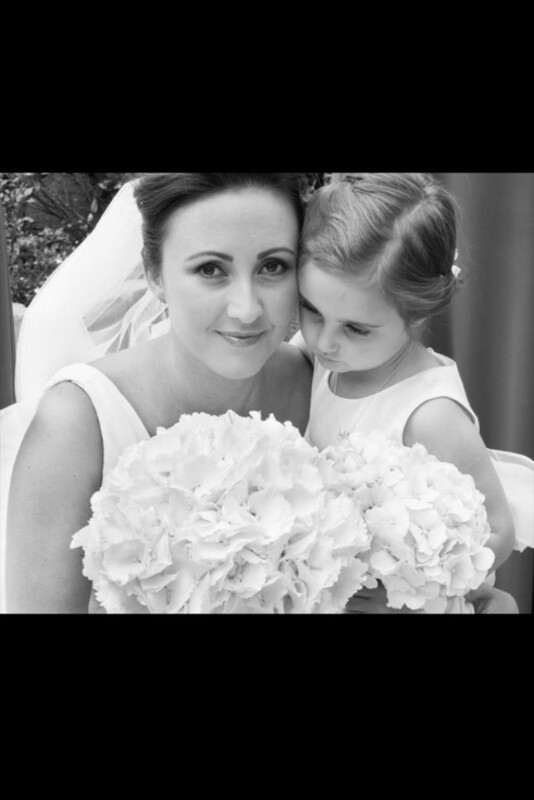 All in all I would have no hesistation in recommending Louise to any other Bride for their wedding. 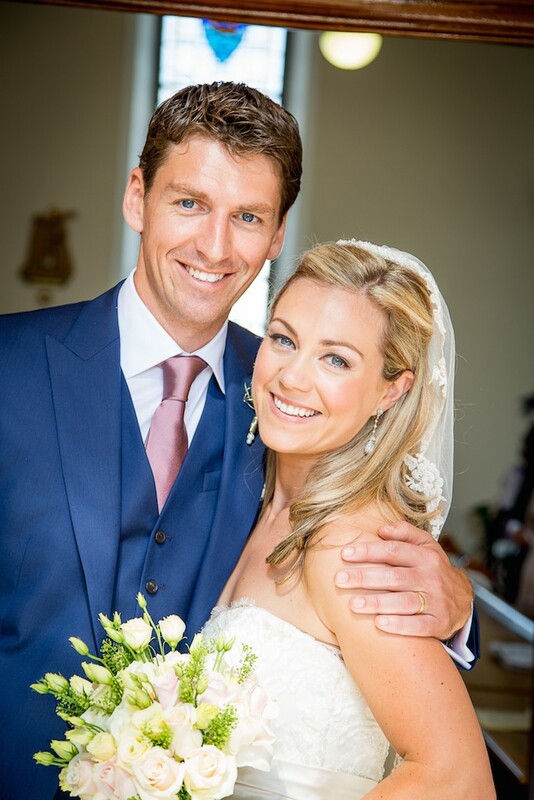 Louise is a fantastic makeup artist and I was absolutely delighted with my makeup on my wedding day. She listened to what I wanted and interpreted my ideas perfectly. Louise did my makeup, two bridesmaids and my mother's makeup, and it really did stay put all day. Louise is very professional and put everyone at ease on what could have been a very hectic morning. 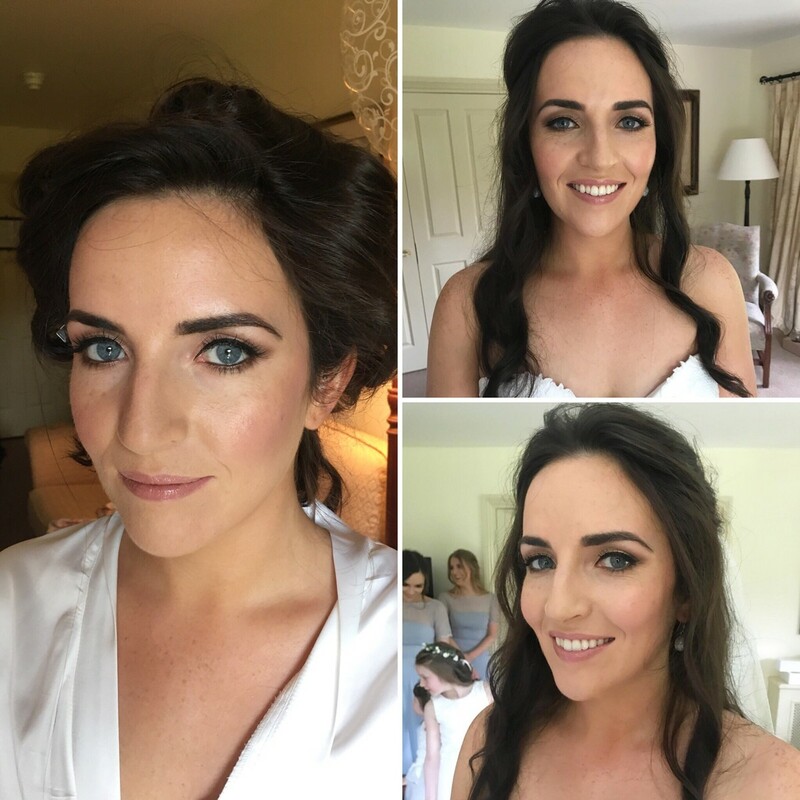 I have recommended Louise to friends for their wedding day and I would highly recommend her to any bride looking for a makeup artist. 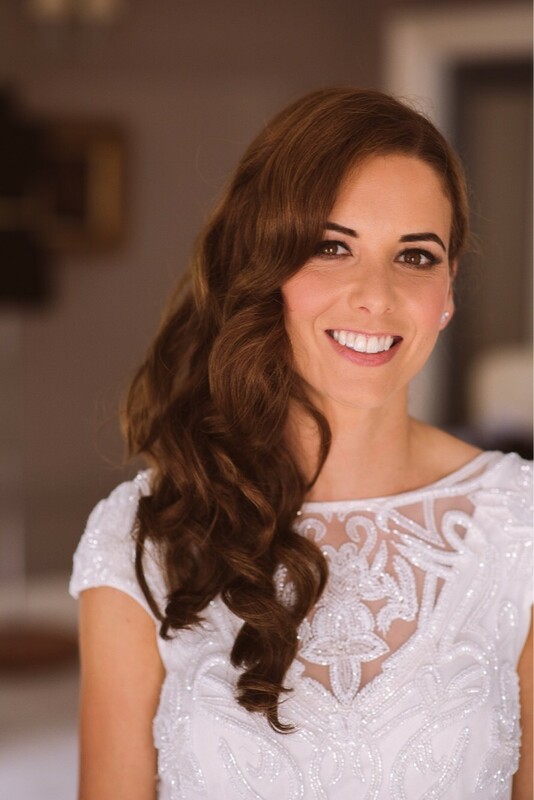 From start to finish my contact with Louise was superb, what a lovely, helpful, professional and talented make up artist she is. My trial really gave me the opportunity to see what I wanted on the day. We all loved our make up, she listened to us and created beautiful work. Thank you so much Louise! 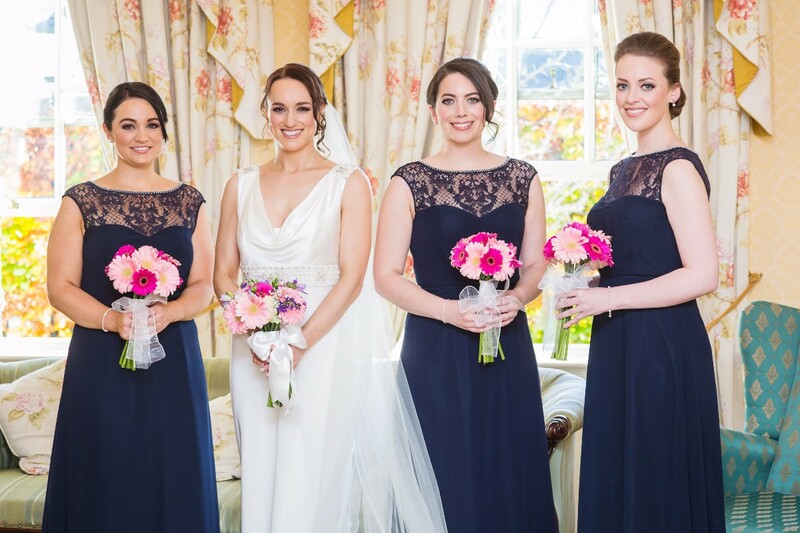 Louise did my make up and my 3 bridesmaids for my wedding in May. We were all so happy with our make up and it lasted so well during the day! 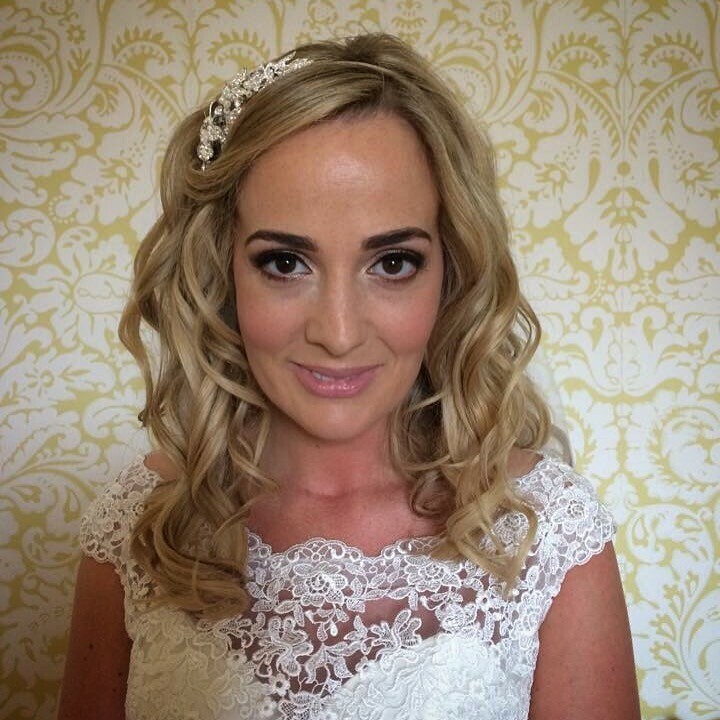 I couldn't recommend Louise more for bridal make up she is amazing!! 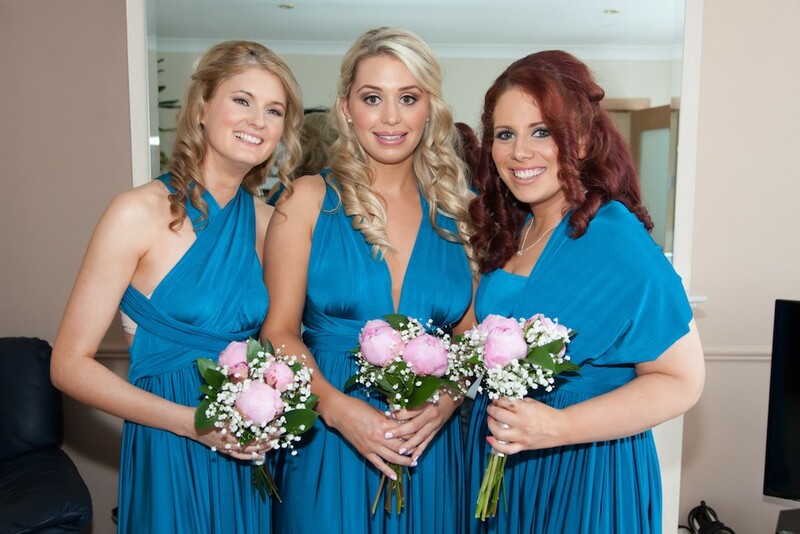 Really happy with myself and the bridesmaids make up on the day. 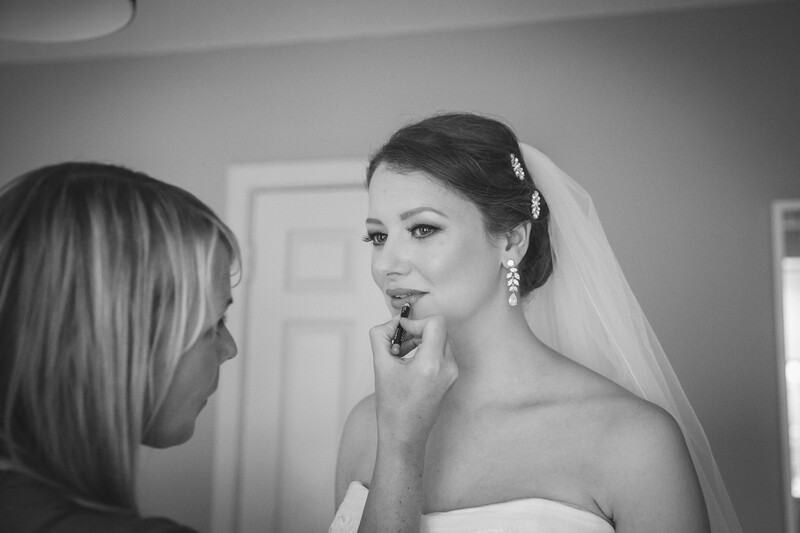 Louise was totally professional and very flexible (we changed the location of the make up very late in the day). The make up was beautiful and she made sure adapted the make up to each of our requests. I couldn't recommend Louise enough! From the moment I met her I was at ease and knew Louise was going to do an amazing job. Having not really known what exactly it was I wanted, Louise talked through everything with me and we decided on style together. I had every confidence during the trial. 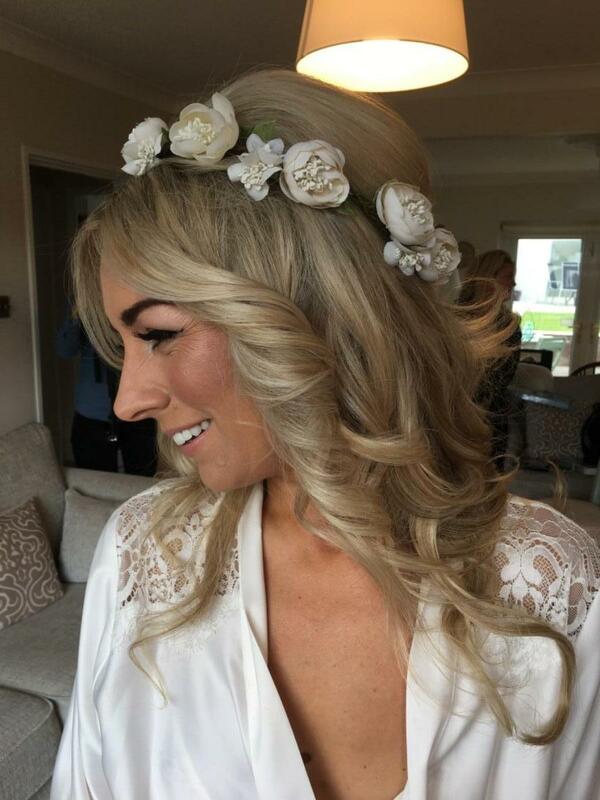 On the morning of the wedding Louise was superb! She fitted in with ease among my family and bridesmaids and we had a fantastic morning with her. 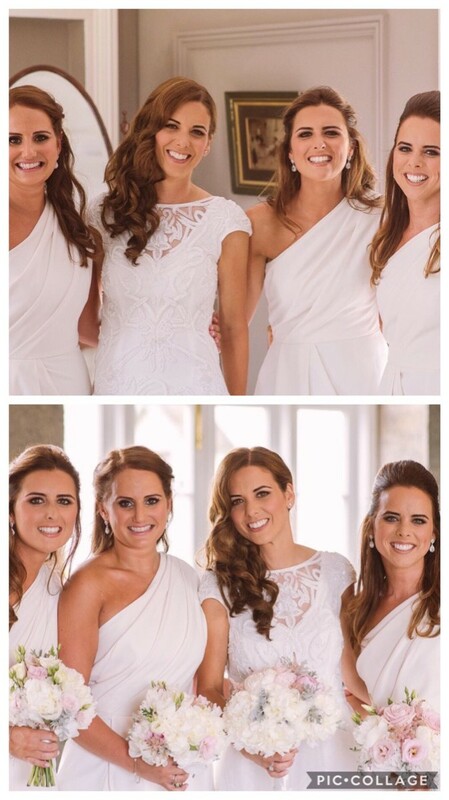 My mam, 3 bridesmaids and I were so so thrilled with our make up and got so many compliments from guests. Louise had been recommended to me by a friend so do yourself a fav and hire Louise!!! You won't regret it! I couldn't recommend Louise enough. 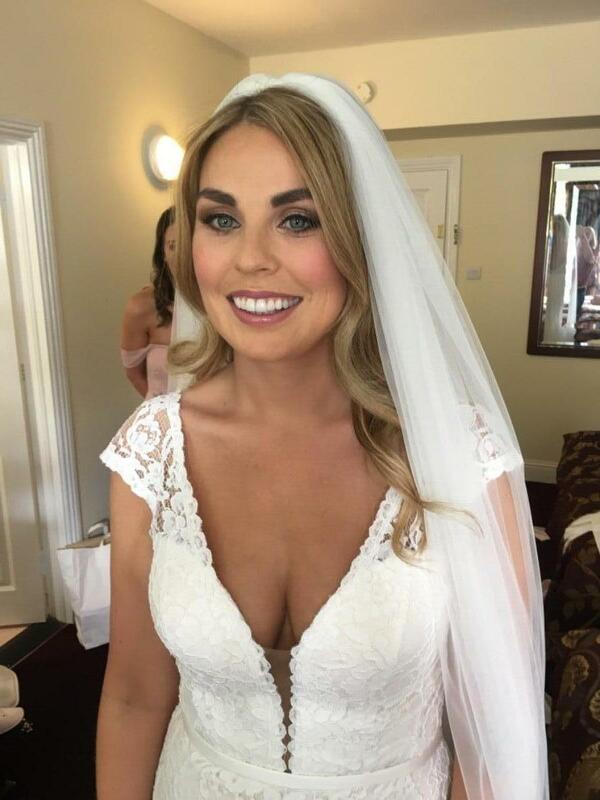 I was absolutely delighted with my make up for my wedding day. She is a true professional and is so easy to communicate with. Her calm, gentle manner was just perfect for the morning of the wedding. 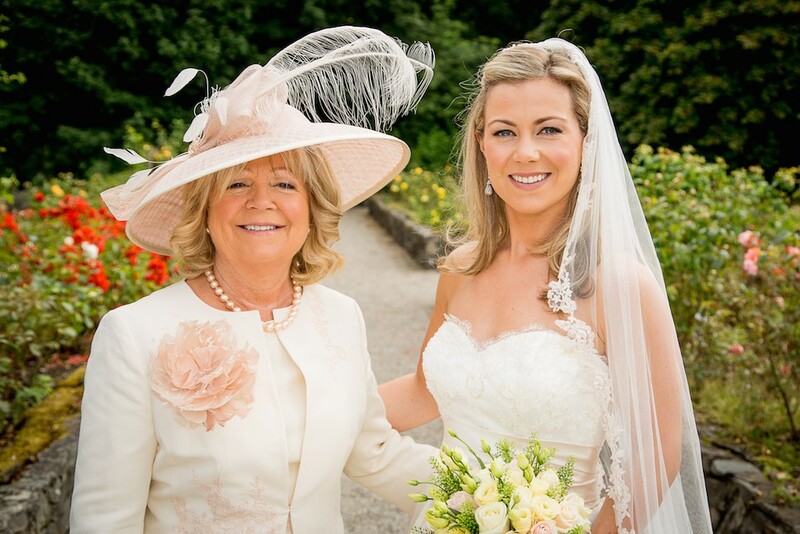 Louise listened to everything we asked and did an amazing job on myself, three bridesmaids and my mother. 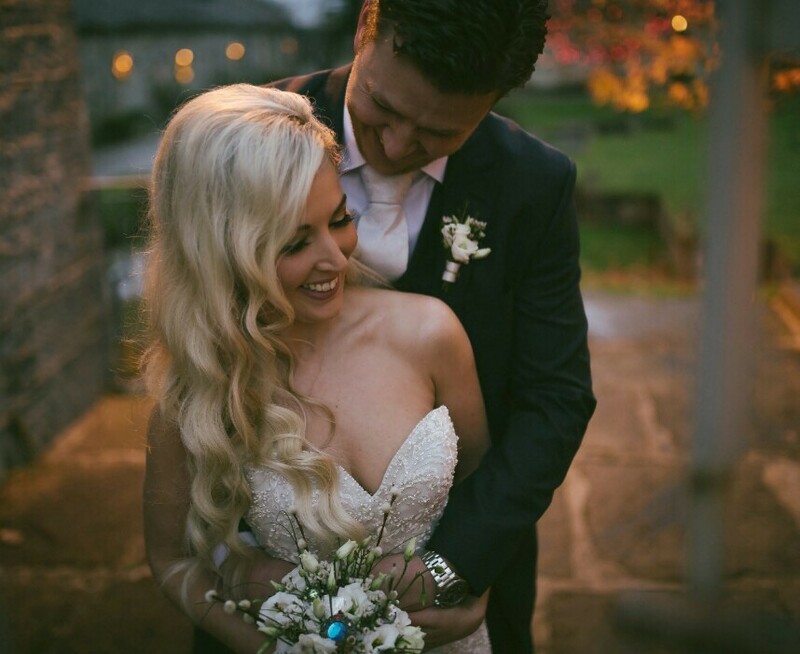 We really couldn't have been happier! Thank you Louise! Louise was an absolute pleasure to work with from start to finish. She really listened to what I was saying and made me feel confident with my choices. She has an excellent range of high end quality products. She really took her time to get the look I wanted right and on the day the make up was even better than I remembered at the trial. 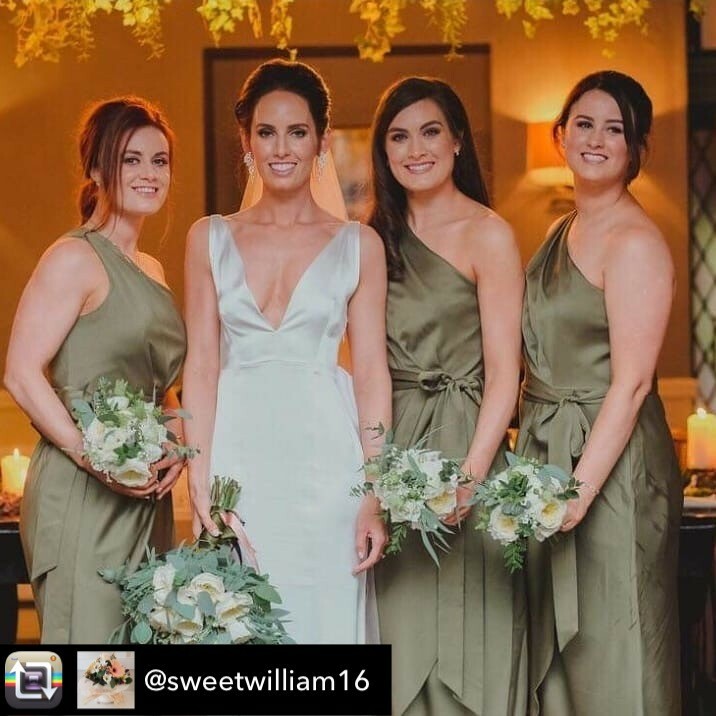 My four bridesmaids couldn't be any more different yet she tied the overall look together beautifully. 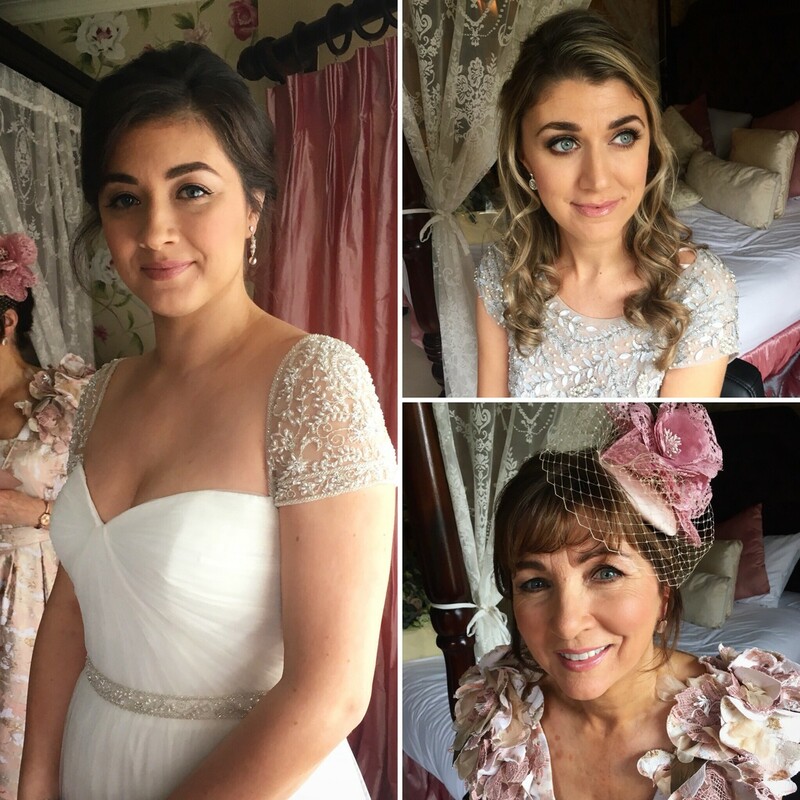 My mother is someone who never wears make up yet Louise did a fantastic job in making her feel comfortable and happy to wear it for the day. Our make up lasted well into the night and we got compliments all day long. 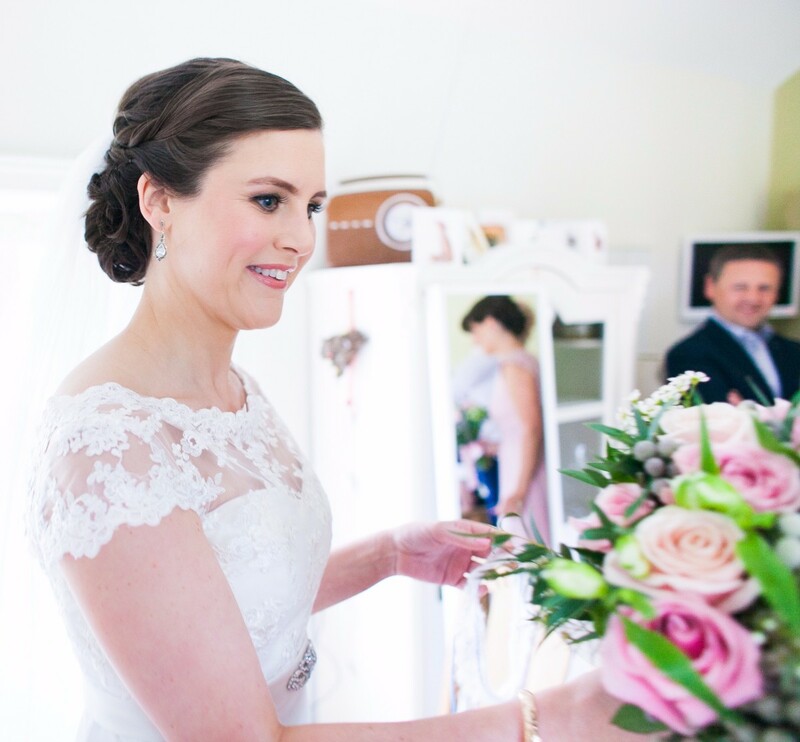 Louise's calm and professional personality is exactly what every bride needs on the morning of their wedding. I cant recommend her enough!! Thanks so much Louise! Louise is excellent. 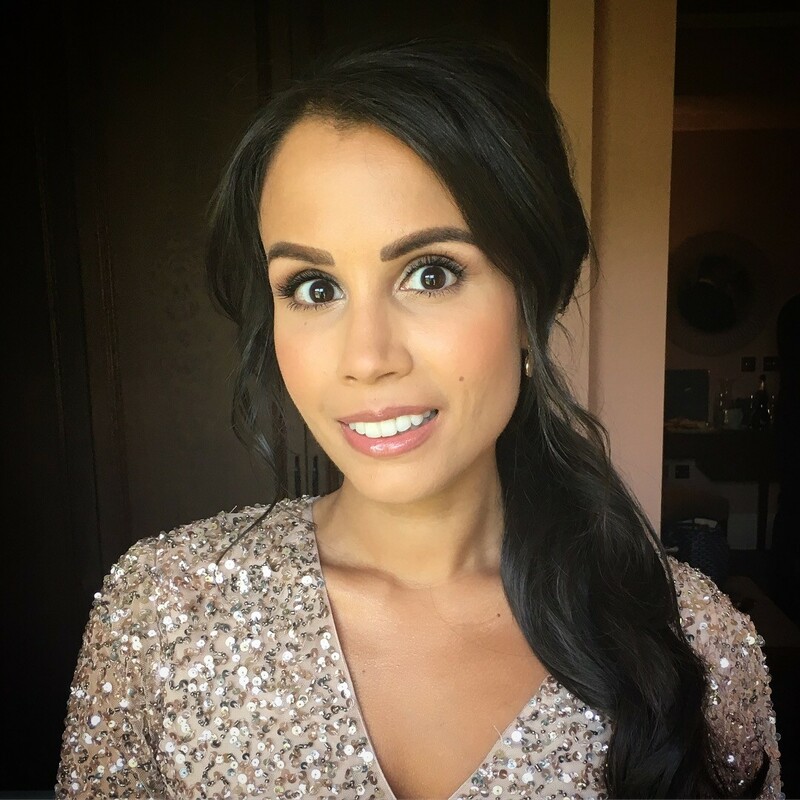 She's ultra professional and knows what works best to create really elegant looks for brides, bridesmaids and mother-of-the-brides. Her calm, warm personality is perfect for when things get a little jittery! In our trial session, she really listened to what we all wanted and was great at suggesting what she thought would work. She's really considerate and took her time to understand our individual styles so that we'd feel comfortable on the day. I couldn't have been happier with the final result & I know the girls were delighted too. Make up lasted well into the night :) If you haven't already, book her today!! From the start, Louise made me feel very comfortable. 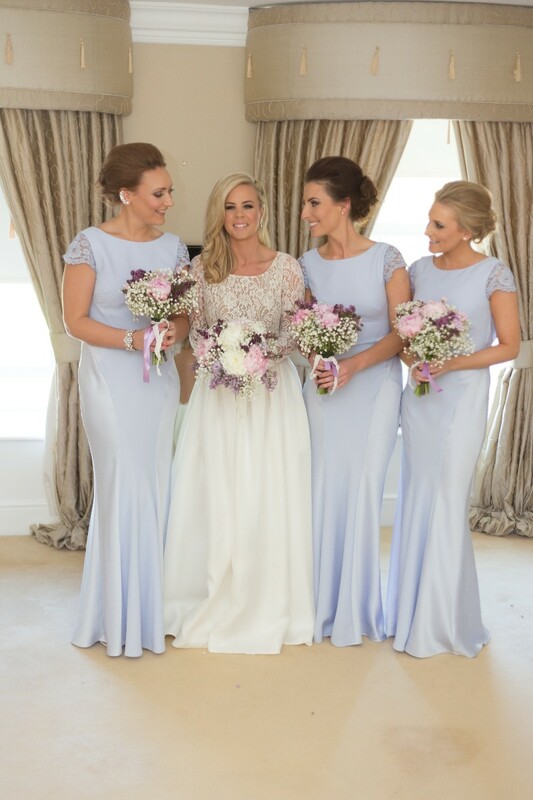 She advised me on the tones and colours that would best suit what i wanted for the big day. She was very easy to deal with and the make up lasted the entire day and night! My make was flawless and looks amazing in all my photos. Needless to say,i couldn't recommend Louise enough. 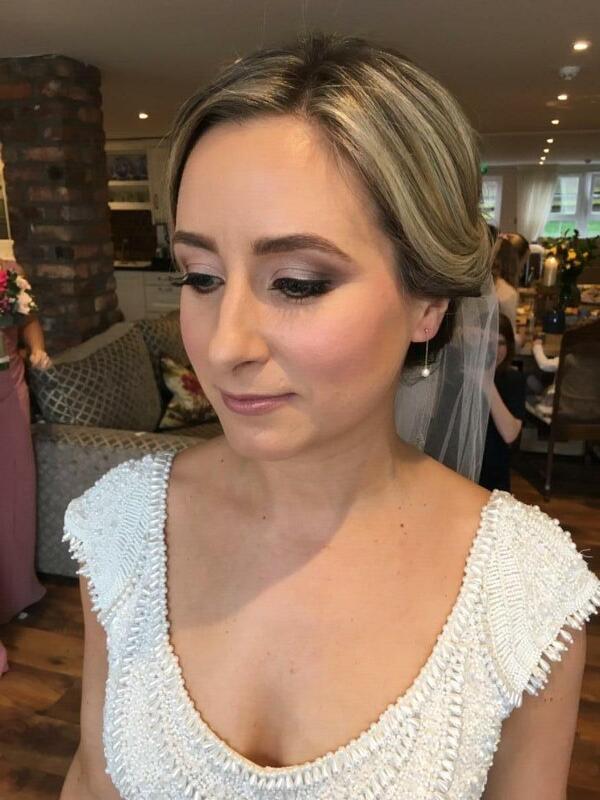 I was nervous about choosing a make-up artist as I normally wear very little make-up, and I chose Louise because I thought the pictures of brides on her website had a very natural look. Louise was really lovely and very professional. There were a few things I wanted to change from the trial and she got it spot on. 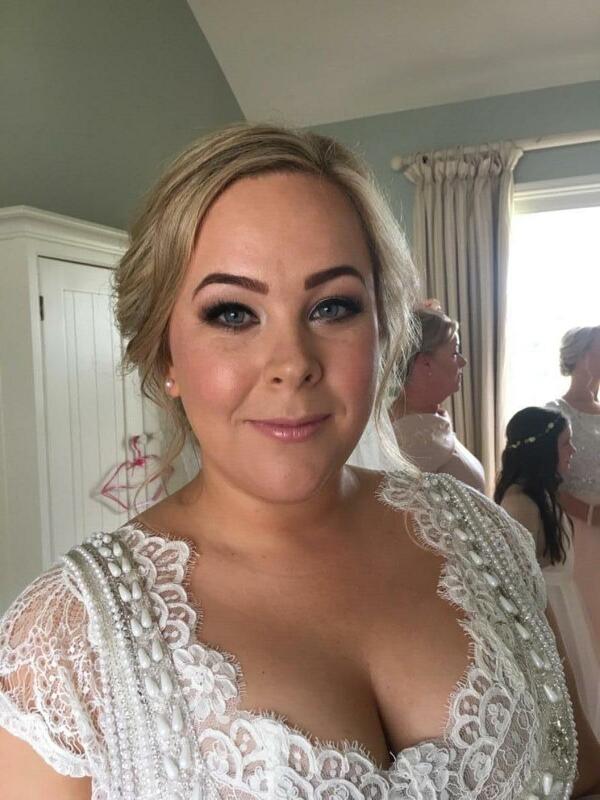 I was very happy with the make-up on the day and it lasted really really well, despite getting married on the hottest day of the year so far! I was even told that it still looked perfect at 2 o'clock that night. Can't recommend her highly enough. Louise is an absolute gem. 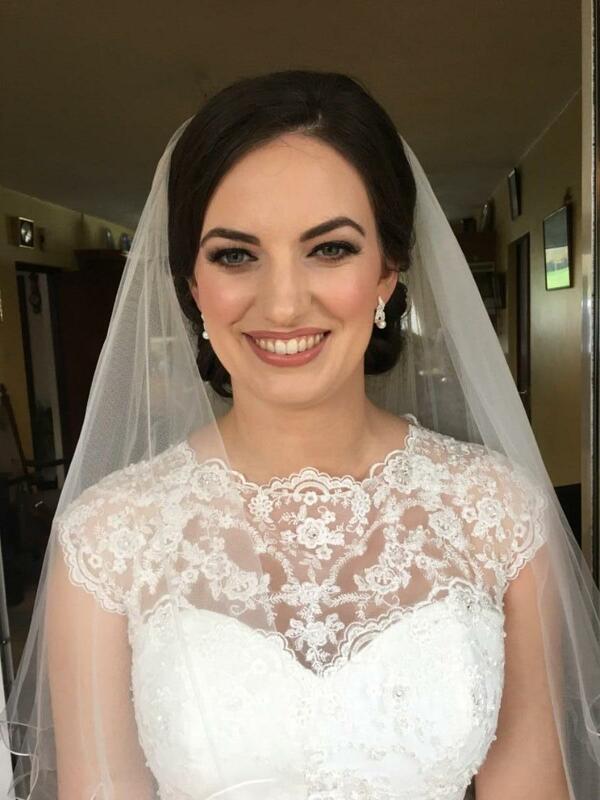 I had never had my makeup done before my trail with Louise and I'll be honest I didn't know what to expect, I was worried I would end up not looking like myself on my wedding day but Louise did such and beautiful job both at the trial and on the day. She listened to all the input I had and also offered her professional advice. 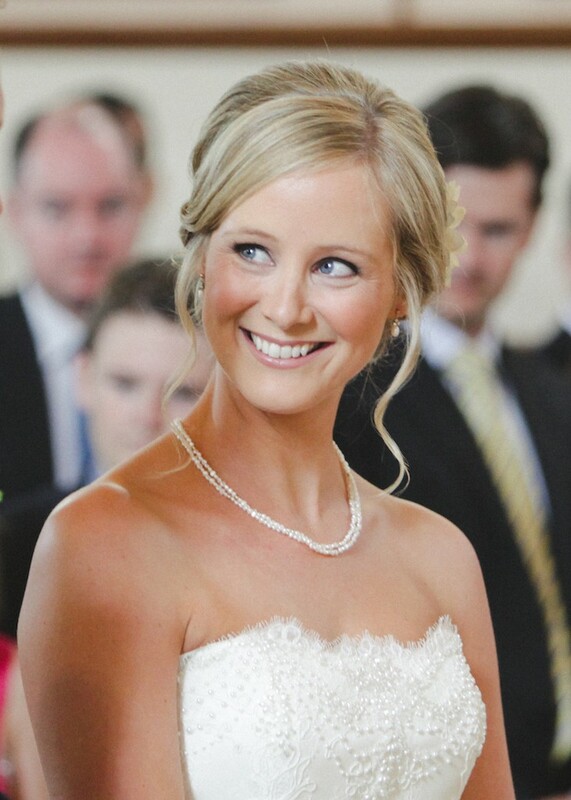 She is very relaxed and great to chat to which is exactly what you want on your wedding morning. All in all I could not recommend Louise enough. Actually I liked her makeup so much I went out about bought some of the products she used. I had my wedding in April 2013. 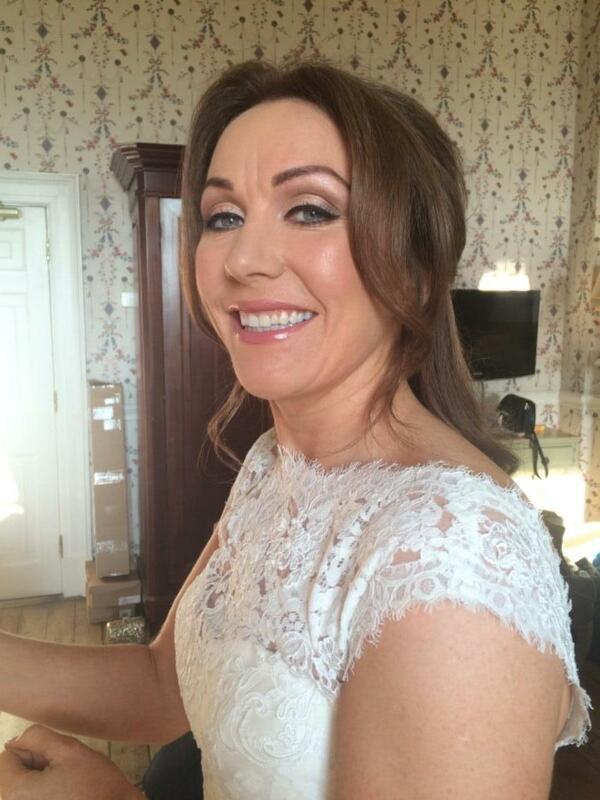 I was delighted with my make up on the day done by Louise. 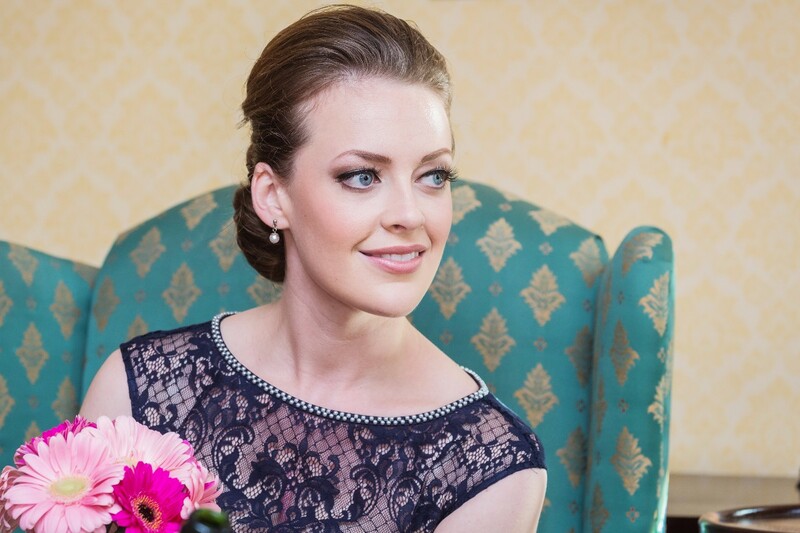 I felt comfortable and relaxed in the make up and Louise was very kind and professional. Both my mother and bridesmaid were cer happy too. 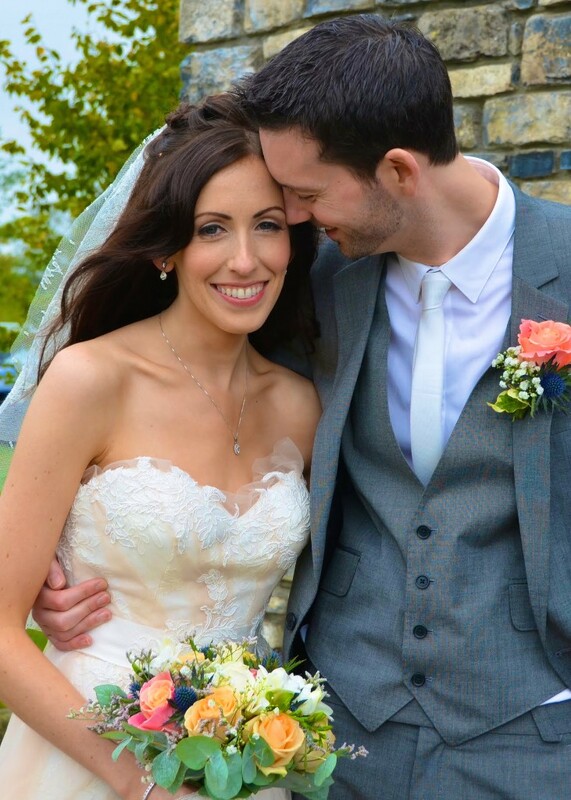 A big thanks to Louise for making me feel so special on the day. 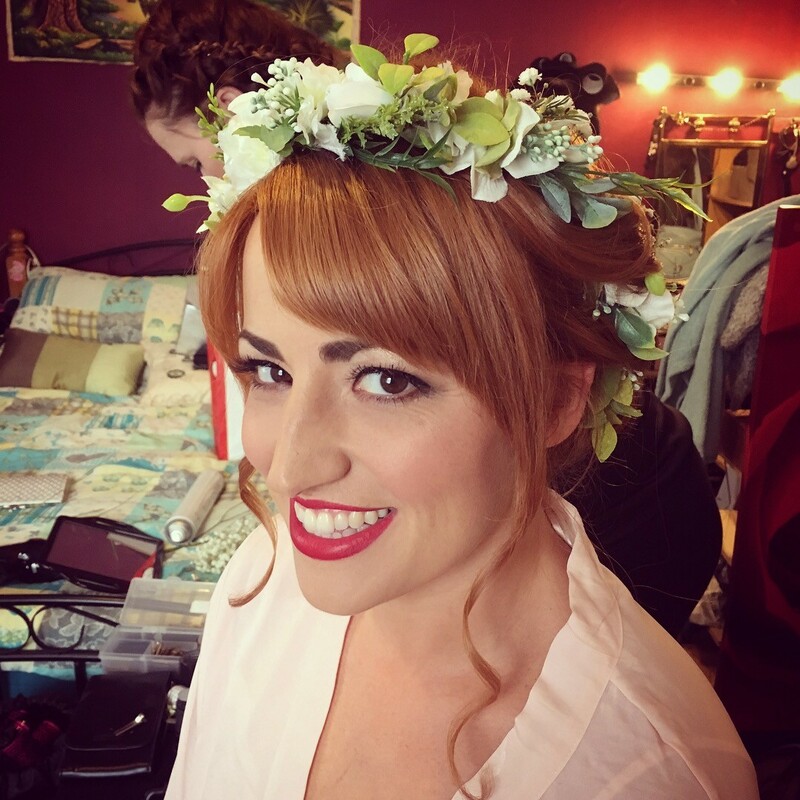 Louise did make-up for my wedding day and I couldn't have been happier with the finished results. I hadn't a clue how to describe the look I wanted but after a quick chat with Louise at my trial she knew what to do and created a fabulous look. 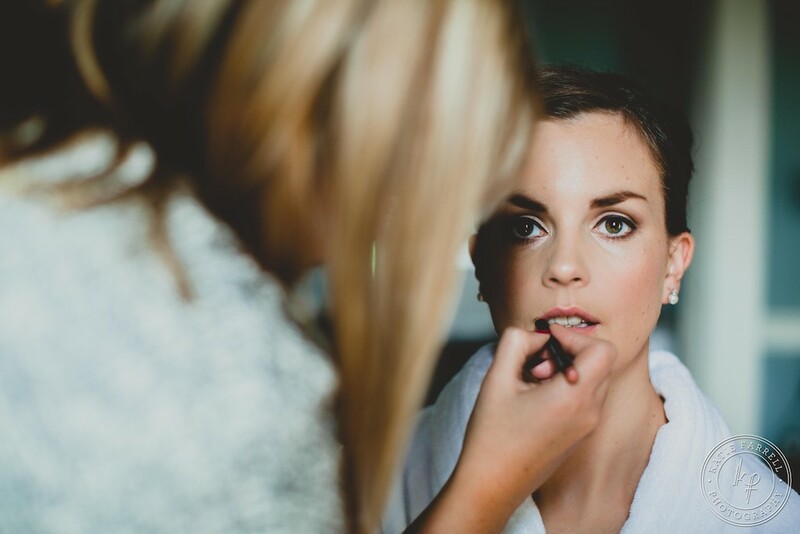 Getting my make-up done the morning of my wedding was such a calm and pleasant experience as I knew I had nothing to worry about. 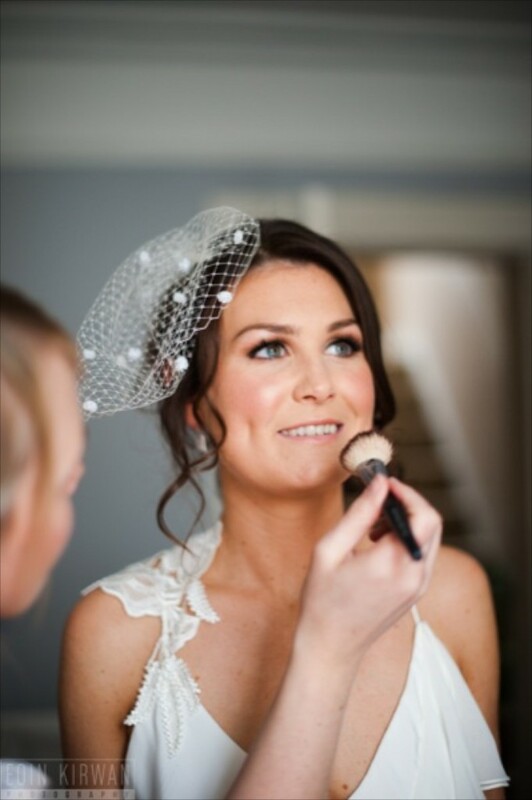 Louise is very friendly, professional & someone who I would highly recommend for make-up especially on your wedding day. So happy everytime I look at my photos, my make-up looks amazing !!! 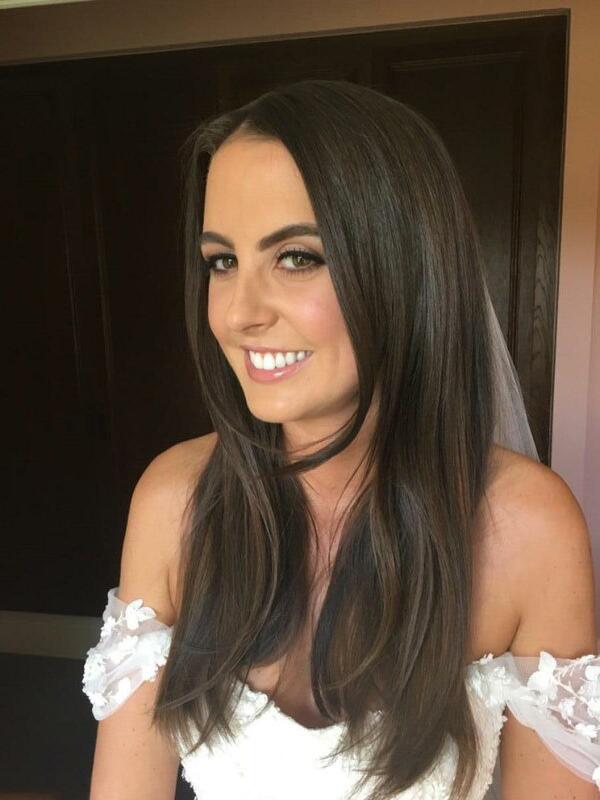 Louise was my make up artist for my wedding. 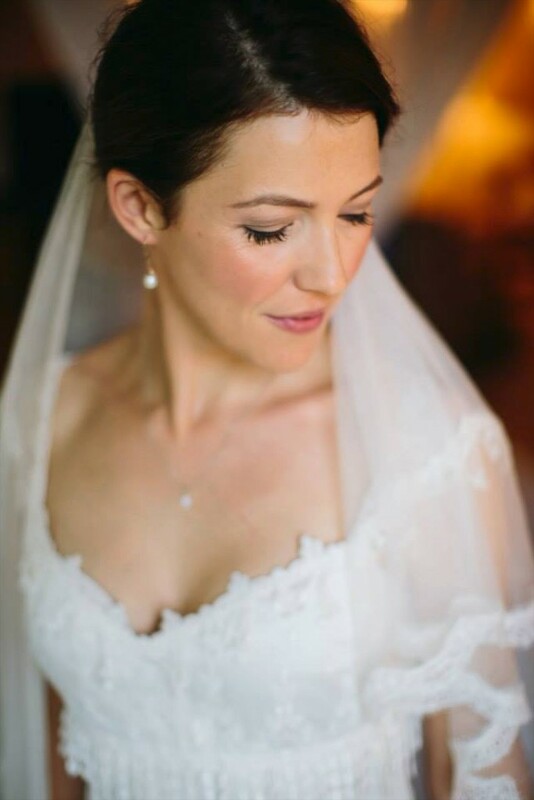 I would highly recommend Louise to any bride-to-be or for anyone looking for professional make up. She was so easy to deal with both in the trials and on the day of the wedding. She listened to what I wanted and was great to give advice and recommendations on shades. Nothing was too much trouble. 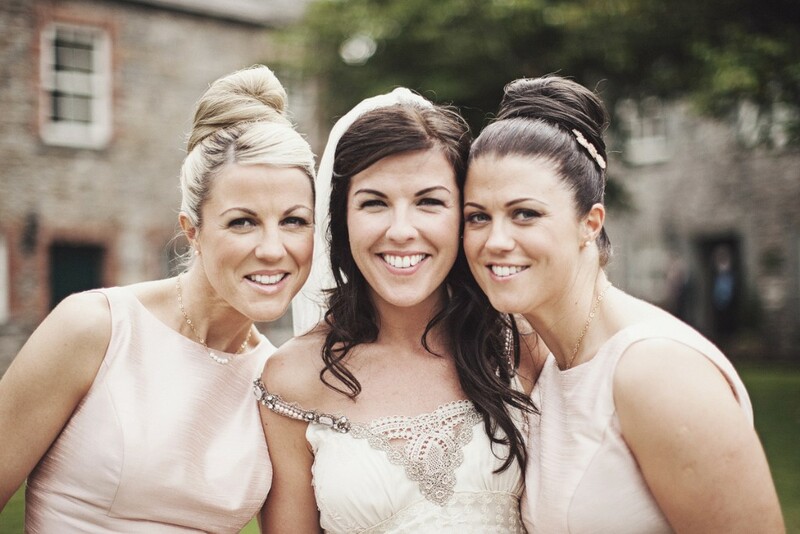 She also did the make up for my bridesmaids and my mam and had us all ready in plenty of time for the pictures. 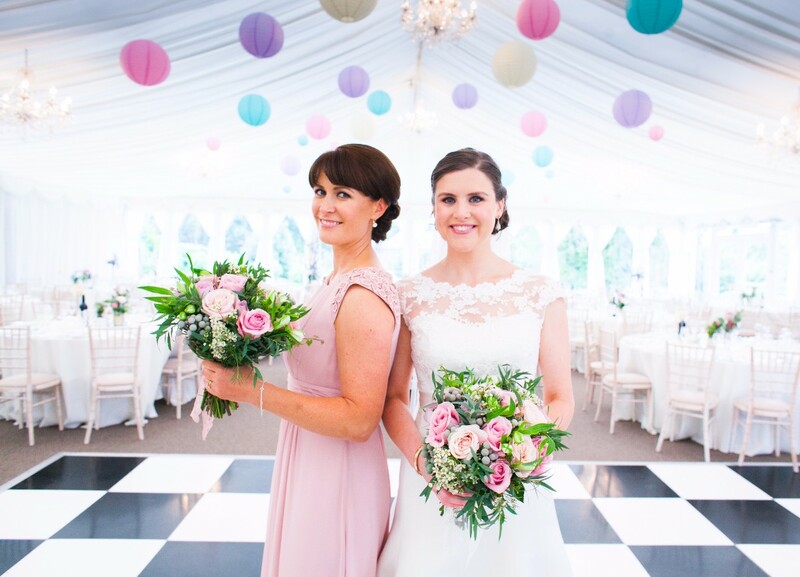 We got so many complements about our make on the day and when we got the pictures back from the photographer I could really see the difference good make up, expertly applied makes. It was so natural and lasted the full day. Not only is Louise a brilliant make up artist, she is also a lovely person and a relaxing influence on such a busy morning. All I can say is "Wow". I have never looked so beautiful and felt like a celebrity. I looked perfect,and my bridesmaids were radiant. Little extra touches on the day were so nice also. Very professional service. Thanks for my HD brows Louise, love them...! Will be seeing you in 5 weeks! Thanks so much for doing my brows they are fab!! I love them!! Great value!! You are amaze balls!! See you again soon!! Love my brows! So excited about my next HD brows appointment! I met Emma Massey today and hers look AMAZING!